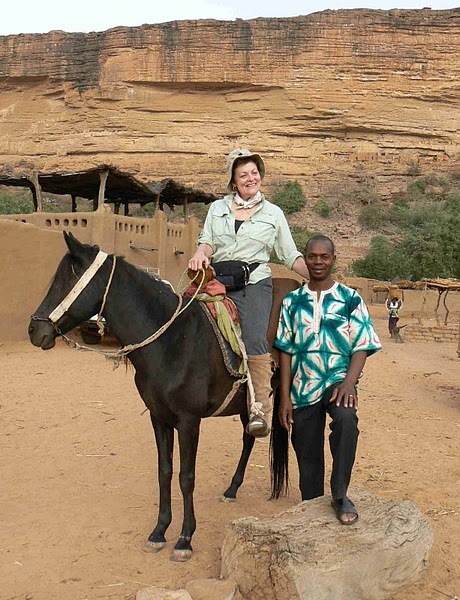 Africa evokes a primal sense of adventure that fans the embers of wanderlust smoldering in the souls of travelers to flame. 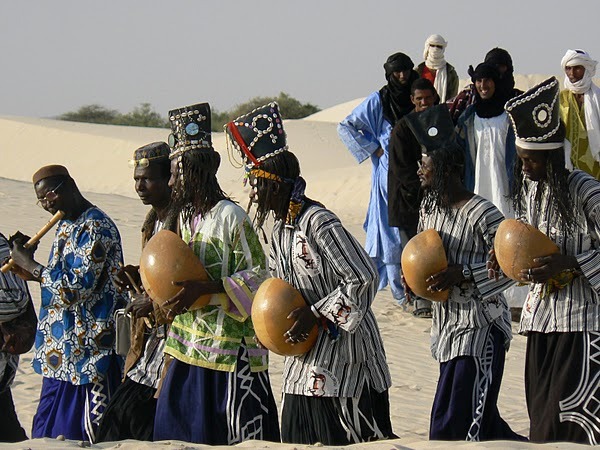 The rhythm of African life moves to a sensuous, captivating beat that will awaken your senses and lead you through doors where imagination becomes reality. 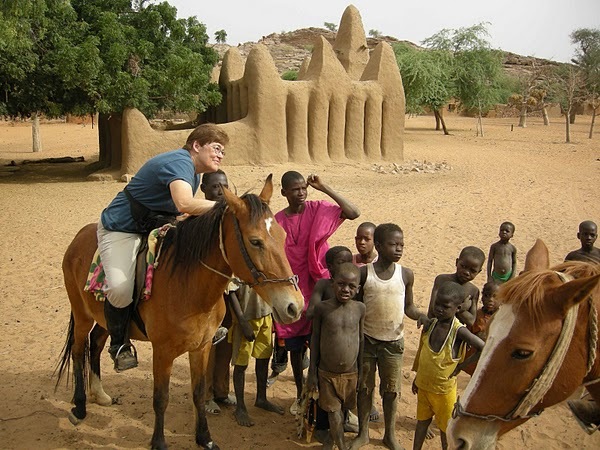 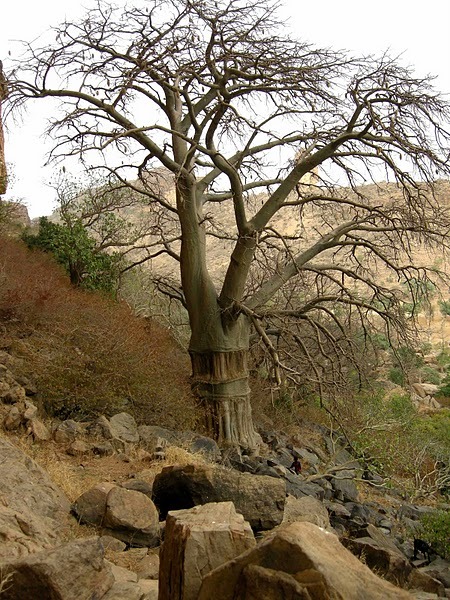 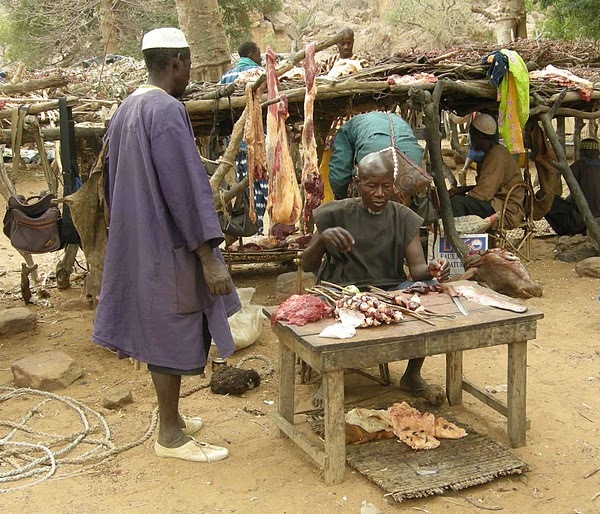 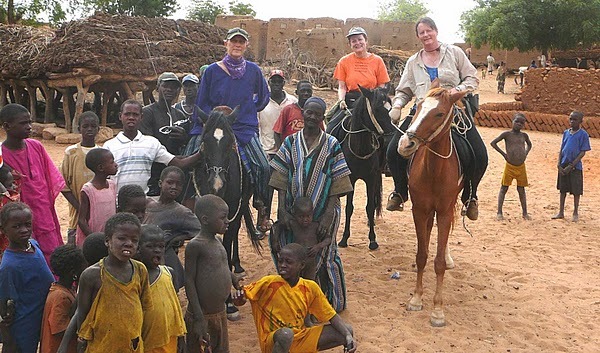 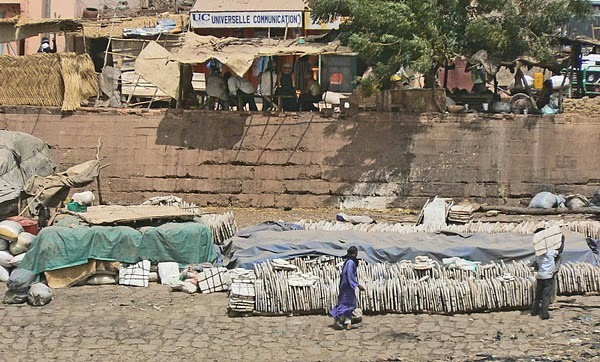 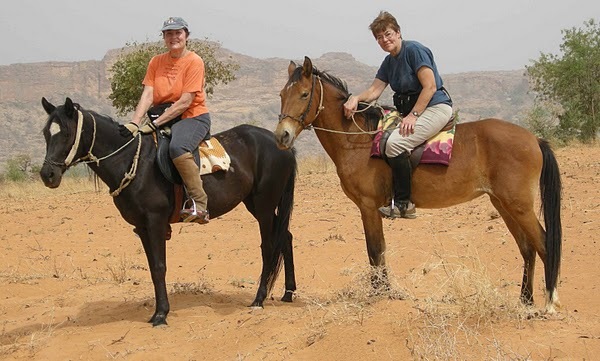 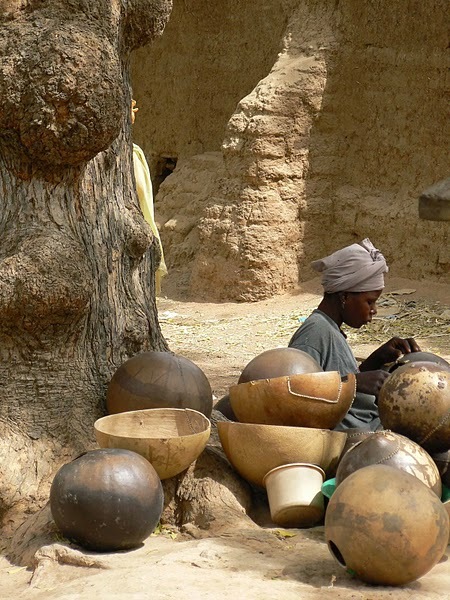 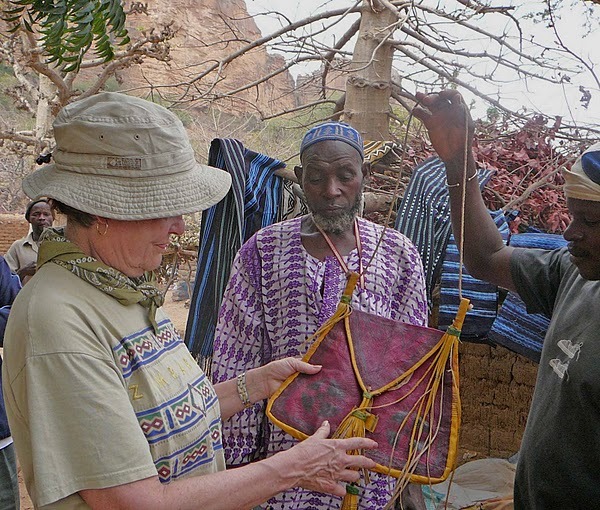 Visiting the Dogon area is truely facinating and a cultural experience not to be missed. 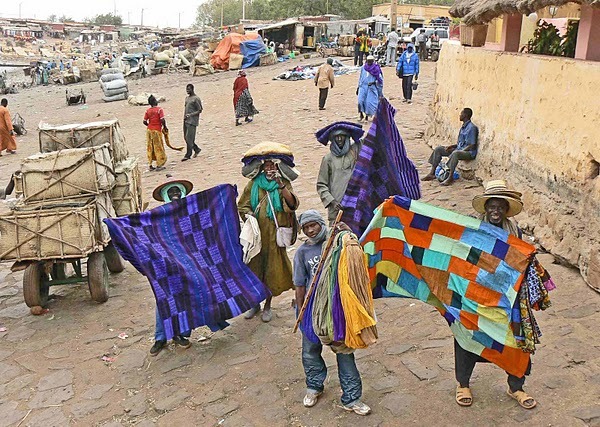 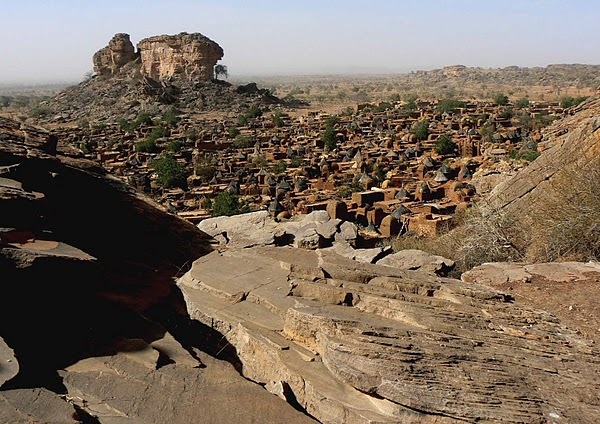 Dogon Country, or Pays Dogon as it translates in French, encompasses the Bandiagara Escarpment known as Falaise de Bandiagara that rises above the flat landscape of the Sahel on the fringe of the Sahara Desert and stretches for a distance of 150 kilometers. The escarpment is the home of the unique and fascinating Dogon people. 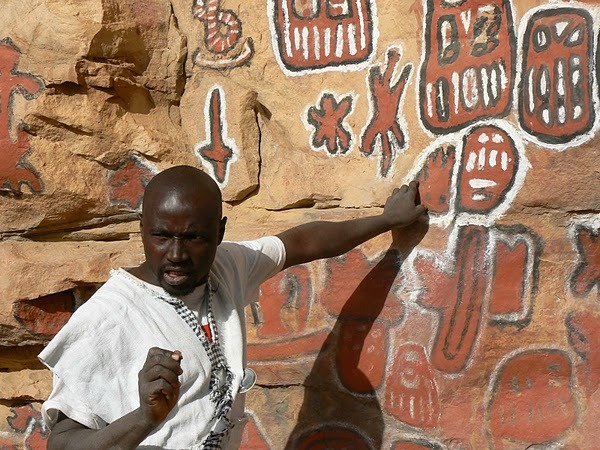 The cliff faces of the escarpment reveal small ancient cliff dwellings which are said to be the remains of the homes of the Tellem. 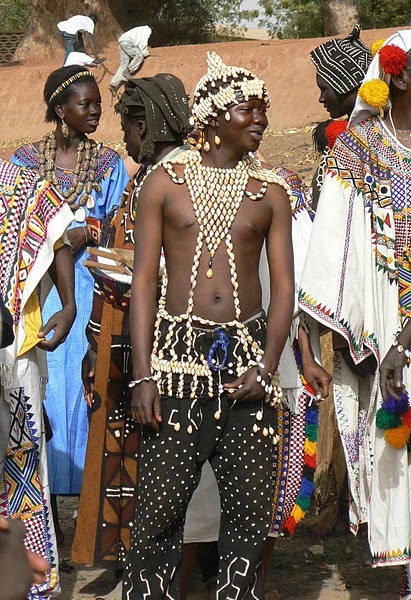 The Tellem are said to have been very diminutive people and are reputed to have been a race of magical and mysterious beings. 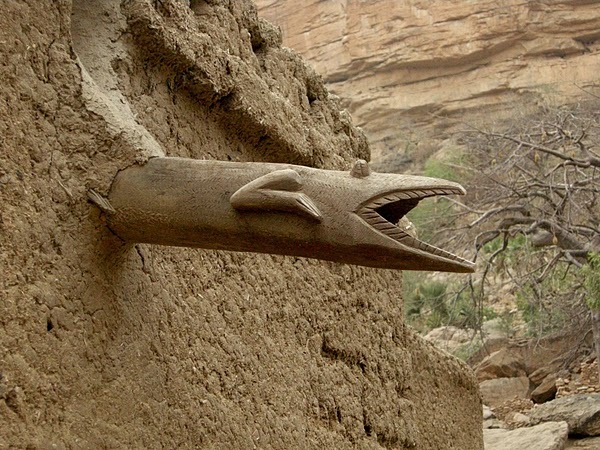 The remnants of their civilizations high up in the cliffs are reminiscent of some of the cliff dwellings thought to have been the home of the fabled Anasazi race in the Southwestern United States. 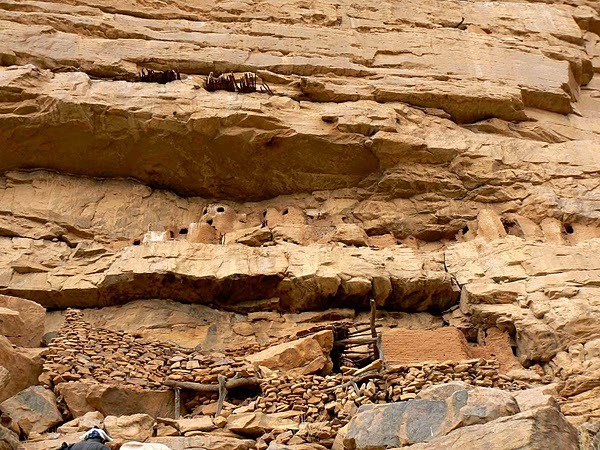 Old Dogon dwellings also perch high on the cliff face for in less peaceful times the Dogon people retreated from the lower elevations to escape their enemies. 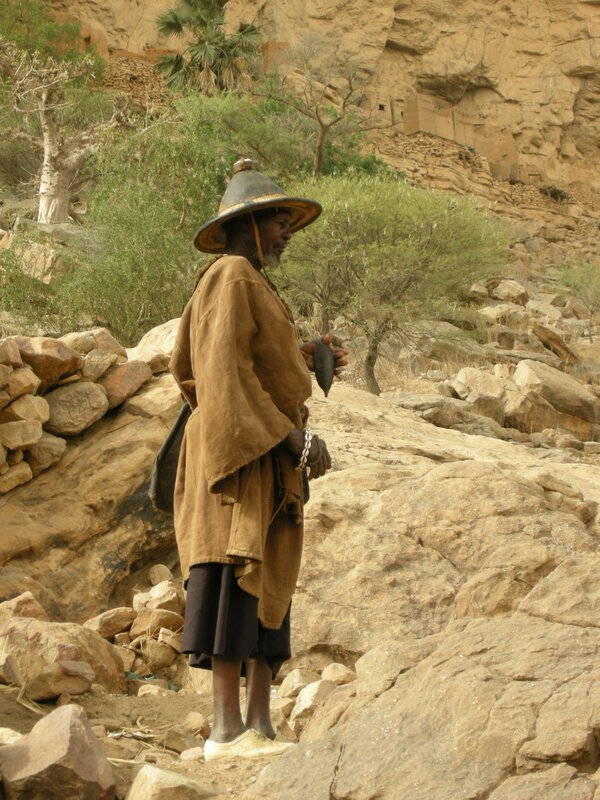 As the threat of attack from other tribes lessened over the years, the Dogon slowly moved their dwellings down from the cliffs. 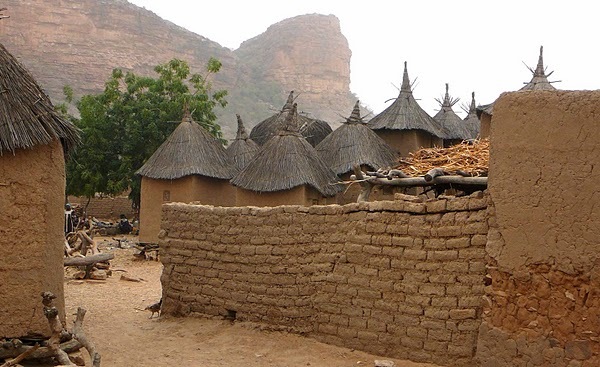 Many modern day Dogon villages are at the foot of the escarpment close to their fields which are planted in the lower elevations. 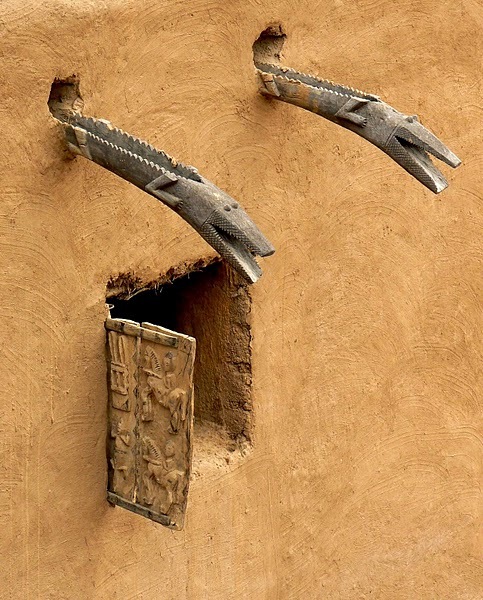 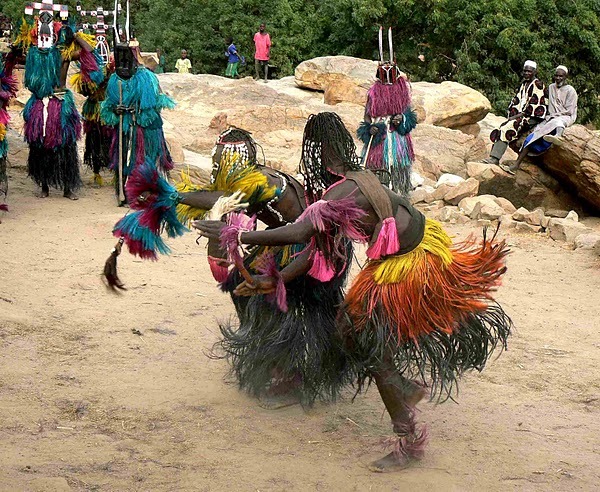 The Dogon are renowned for their traditions, legends and mythology in addition to their artistry and craftsmanship. 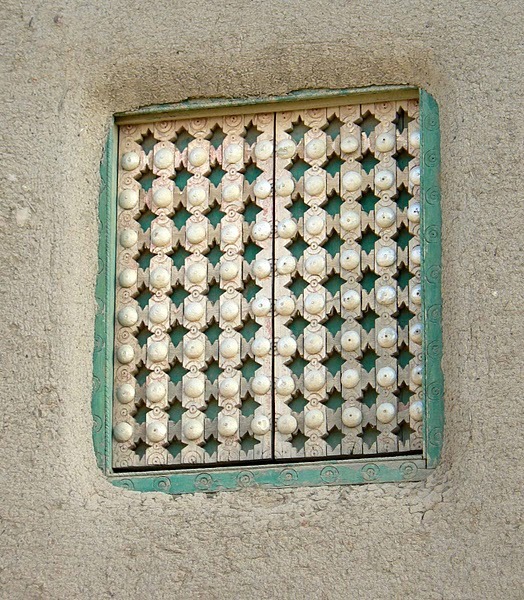 Their hereditary astronomical knowledge, which relates to their religious beliefs, includes reference to a star they call Po Tolo; tolo meaning star and po being the name of a tiny plant seed. 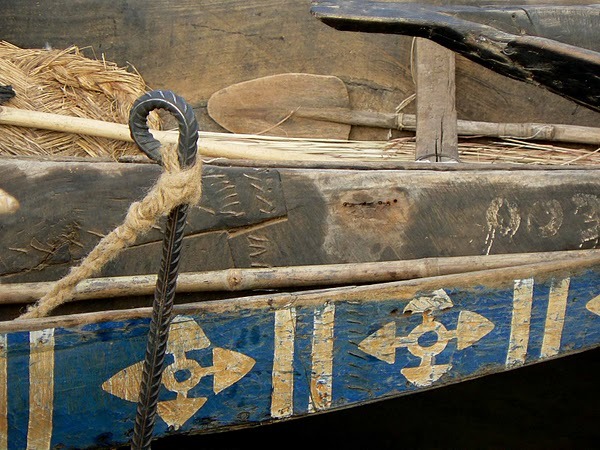 The western world knows this star as Sirius B, an obscure companion to Sirius, the Dog Star. 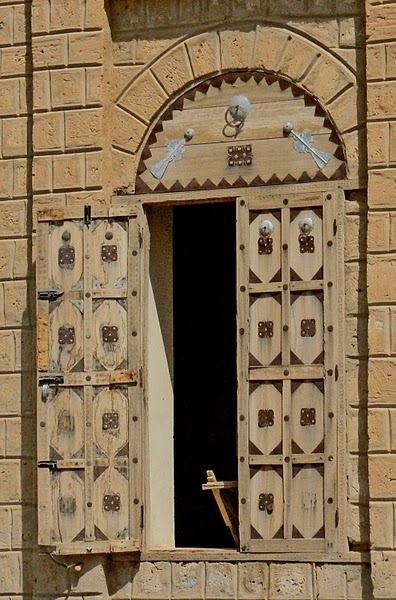 Historical evidence makes reference to the star’s suspected existence in 1844; however it was not until 1970 that western astronomers first photographed the star. 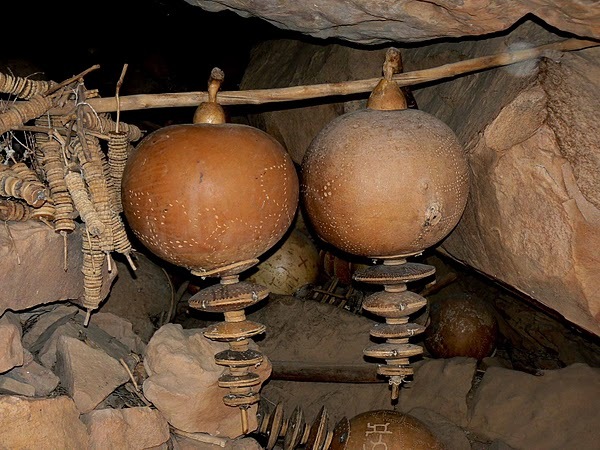 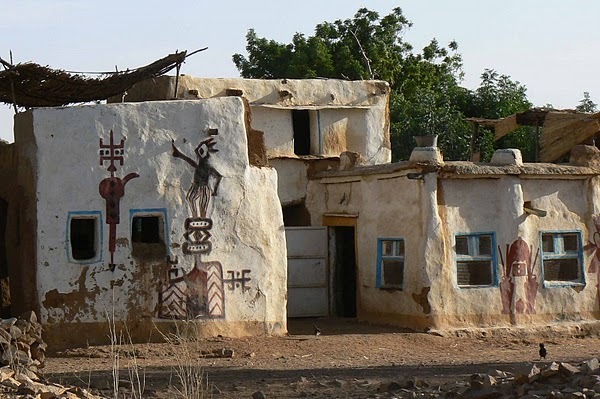 It is interesting to note that the Dogon conveyed their knowledge of Sirius B to French anthropologists Marcel Griaule and Germaine Dieterlen in the 1930’s. 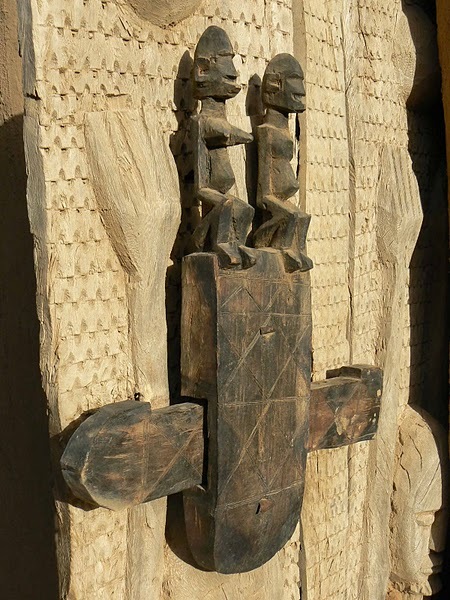 The Dogon’s astronomical knowledge continues well beyond the existence of Sirius B. 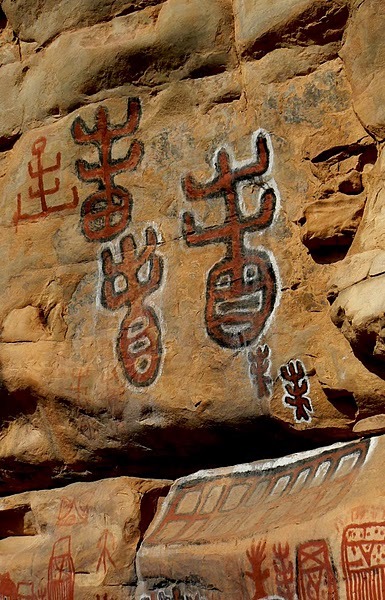 Their traditional mythologies include an awareness of the four moons of Jupiter and the rings of Saturn and they believe that they were visited by extraterrestrials from another galaxy who taught them about the universe. 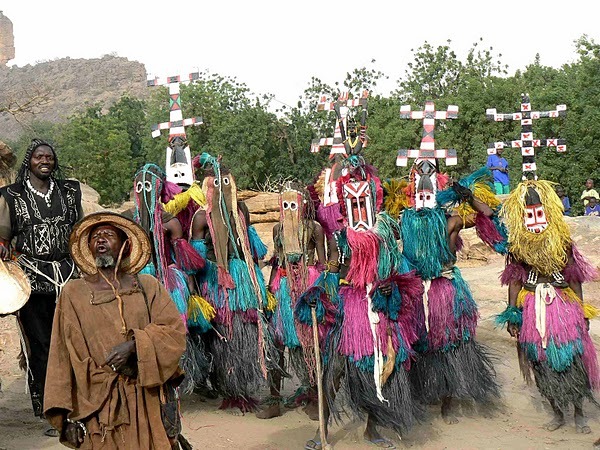 To the Dogon, whose myths and legends are learned through oral transmission, the adventures and actions of the gods are examined and characterize the behavior and actions of humans on earth. 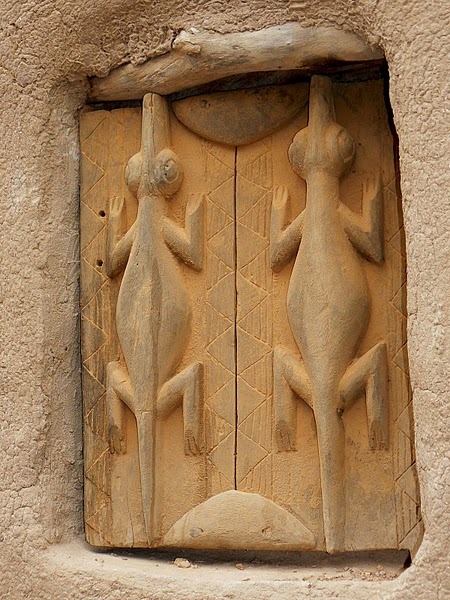 Their myths represent the entire universe with the world as a microcosm reflected in everything, including the surrounding stones, water, trees and man himself. 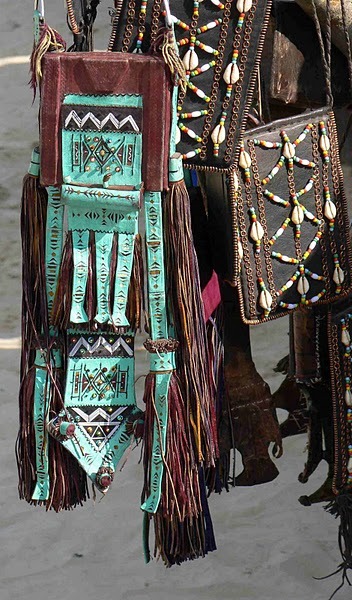 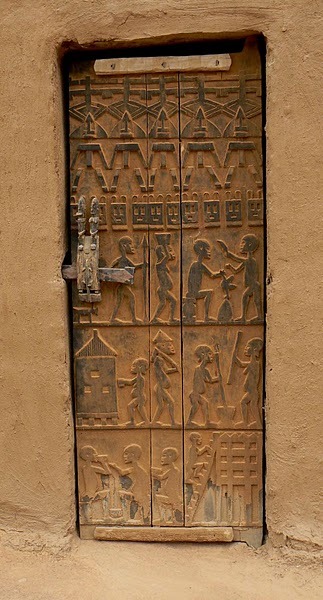 Dogon rituals encompass the decorating of objects with symbolic designs and patterns which reveal their meanings to the initiated through encoded messages. 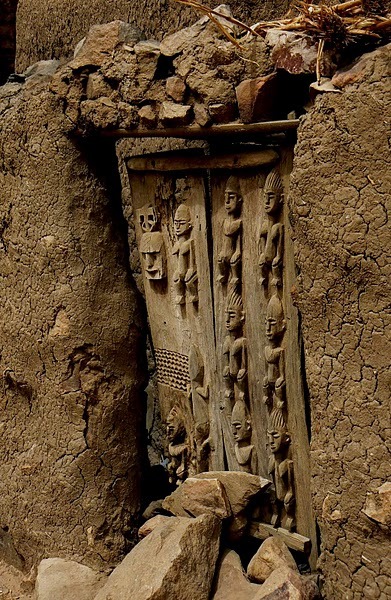 In addition to the symbolism found throughout Pays Dogon in the form of static objects including carved statues, household objects and jewelry; the Awa or cult of the masks plays an integral and important role in Dogon traditions and religion. 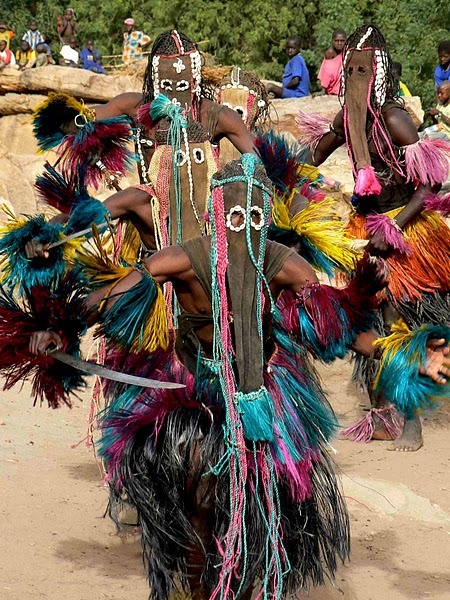 Spectacular representations of the dances of the masks are performed for visitors in many of the larger Dogon villages. 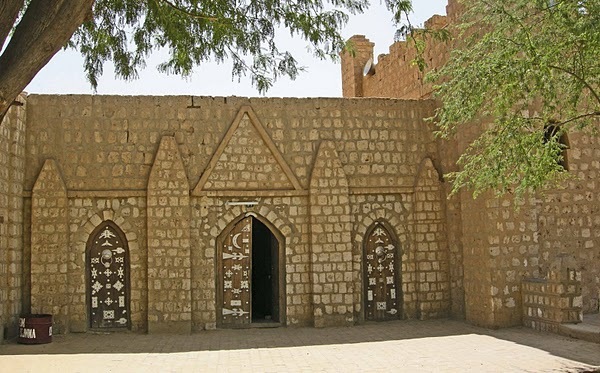 Although Dogon beliefs center on cults, totems and ancestor spirits a good number of Dogon share Muslim beliefs and mosques can be found in the larger villages. 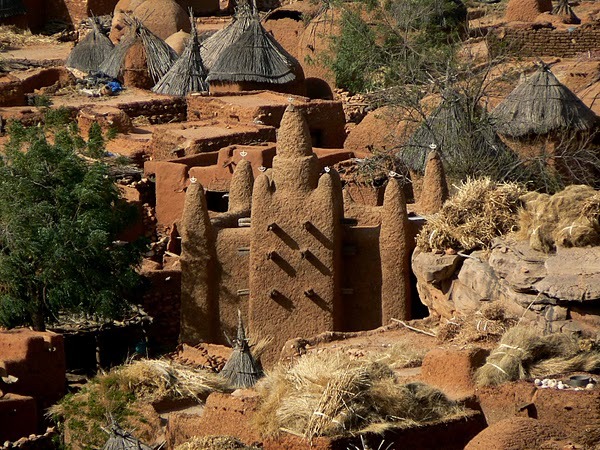 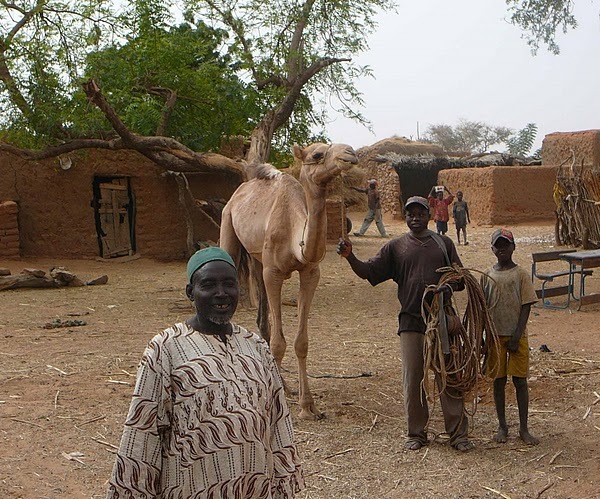 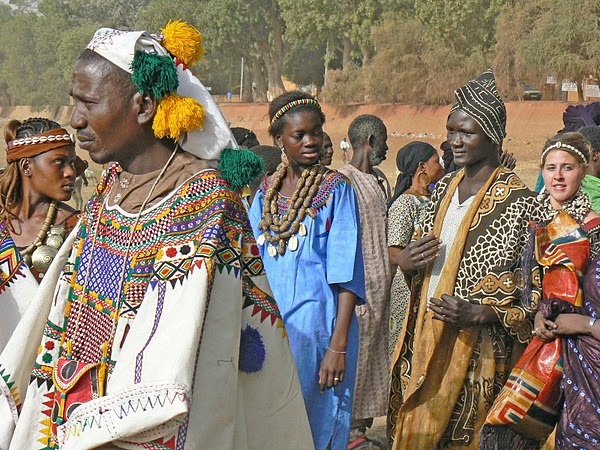 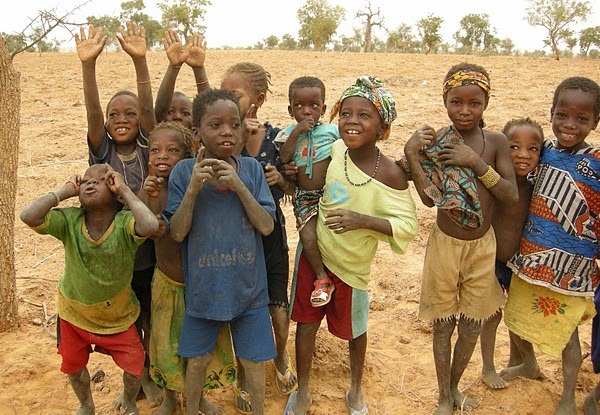 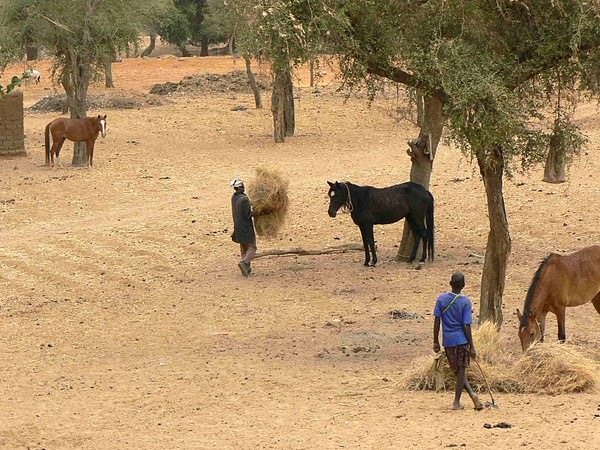 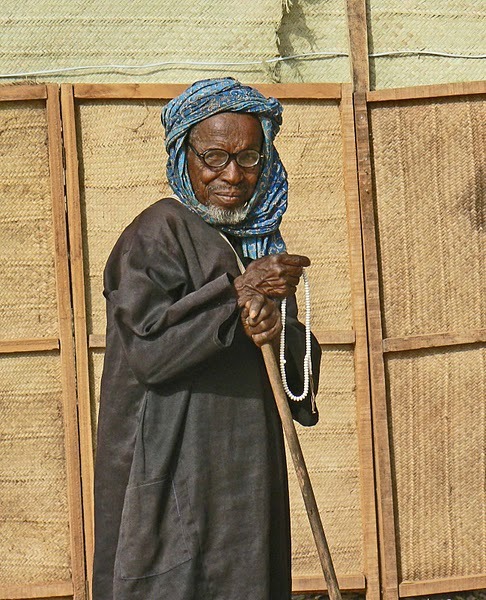 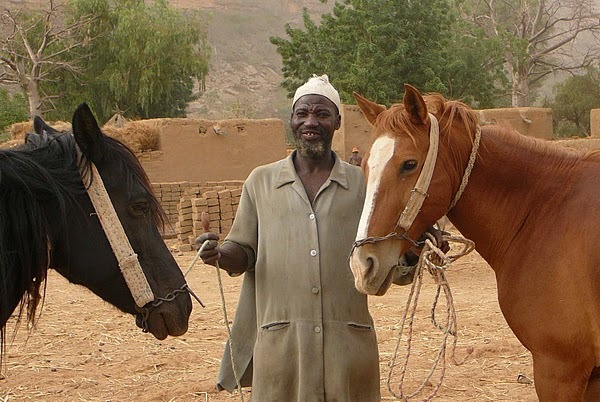 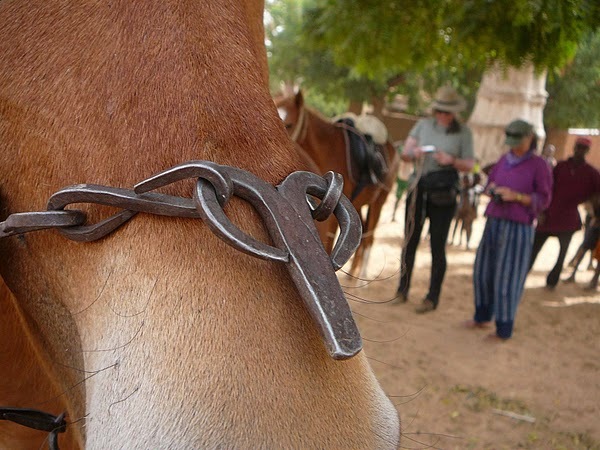 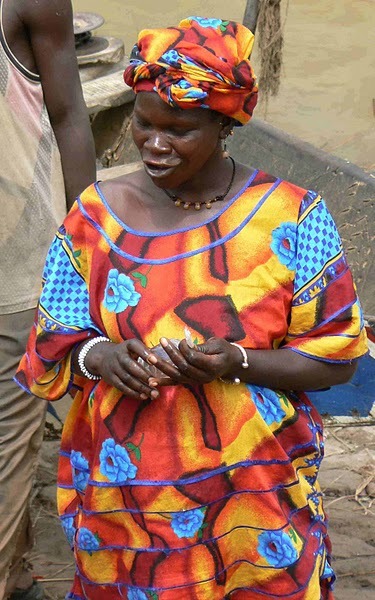 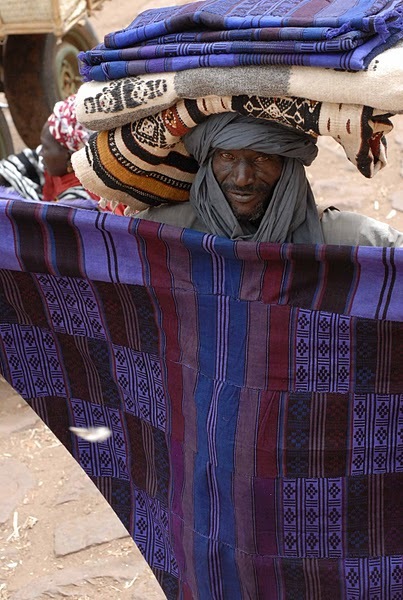 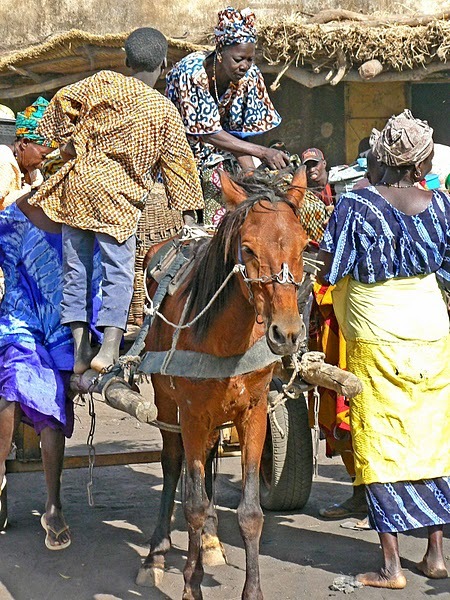 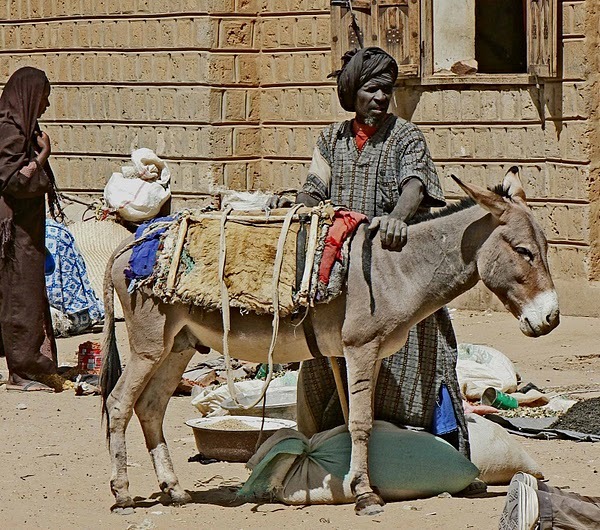 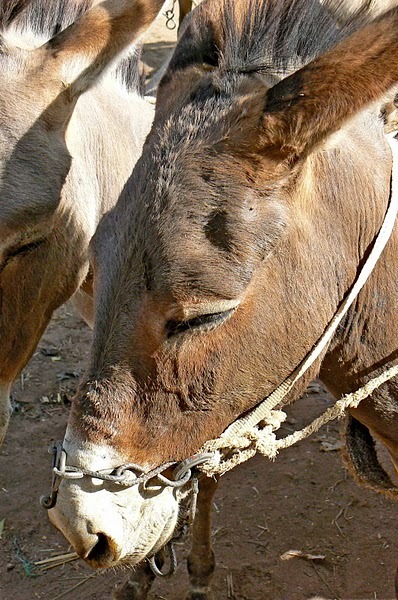 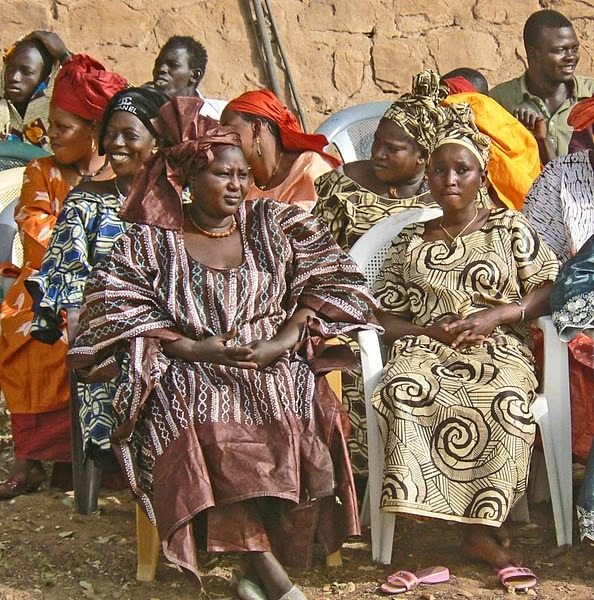 As is the norm in Mali, the Dogon people are friendly, welcoming and polite hosts to visitors to their villages. 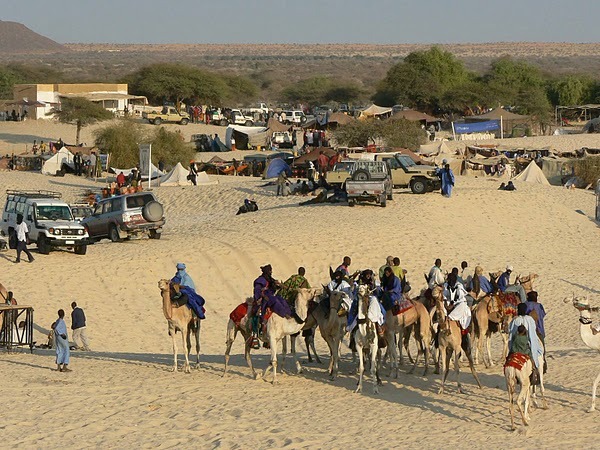 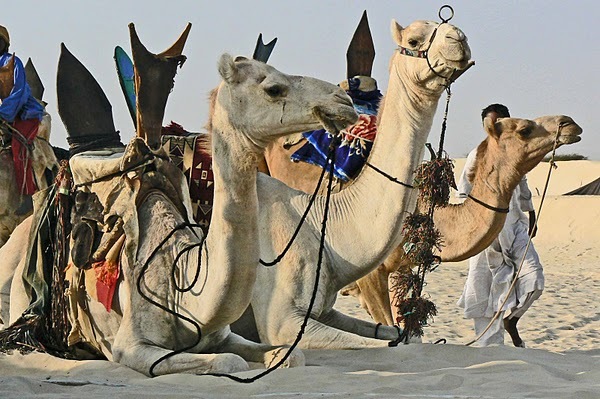 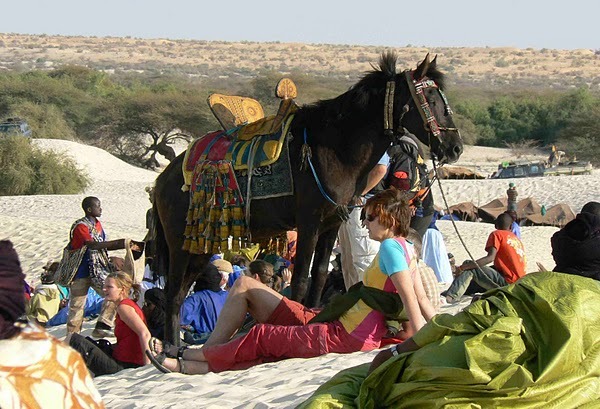 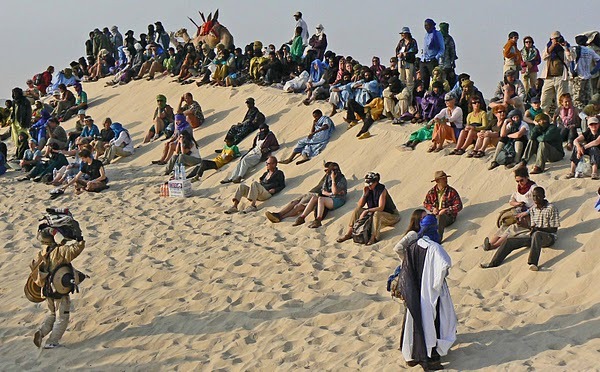 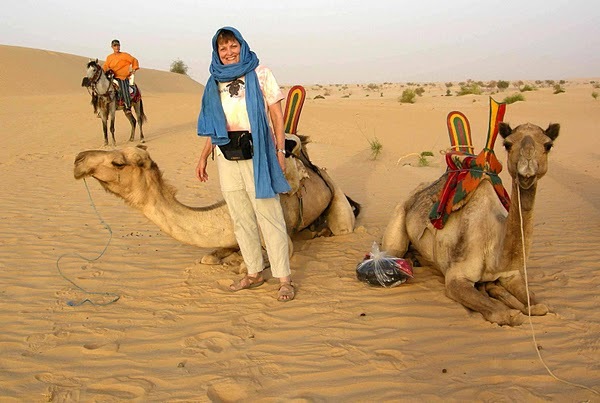 Le Festival au Desert, the Festival of the Desert, is held annually in the dunes of the Sahara Desert not far from Tombouctou, Mali. 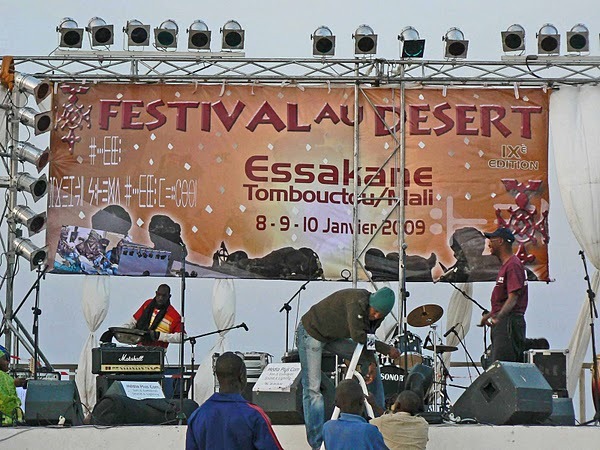 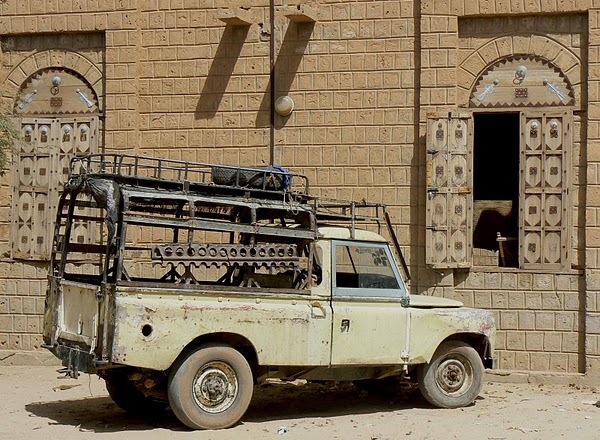 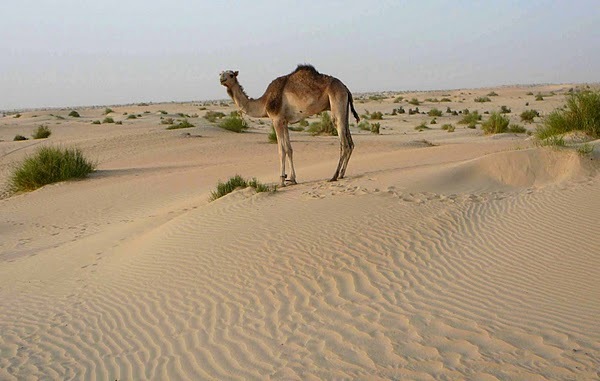 The venue for many years has been the oasis of Essakane, approximately 65 rugged kilometers from Tombouctou. 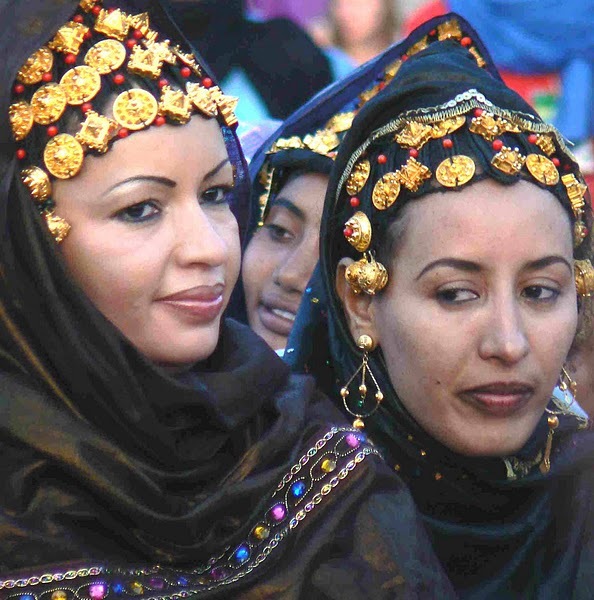 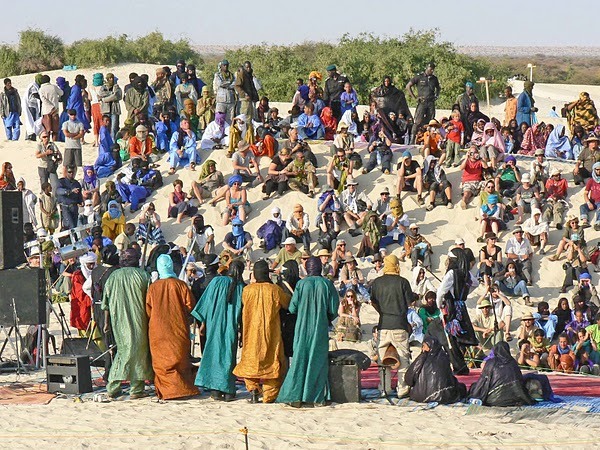 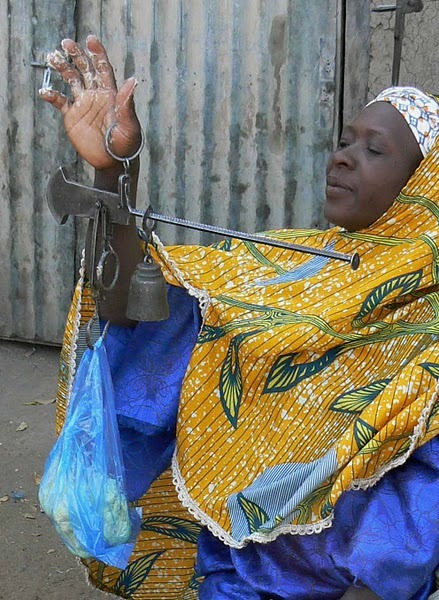 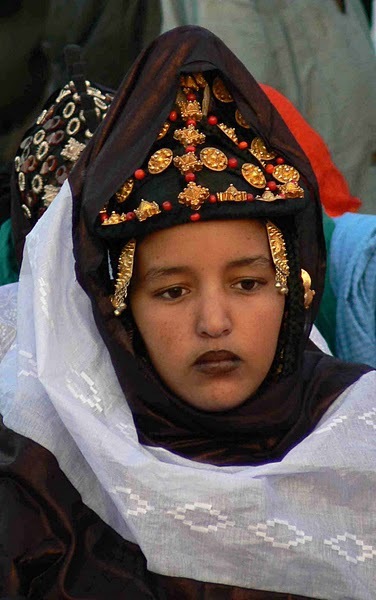 The festival features traditional Tuareg and celebrated Malian musicians as well as groups from other West African countries. 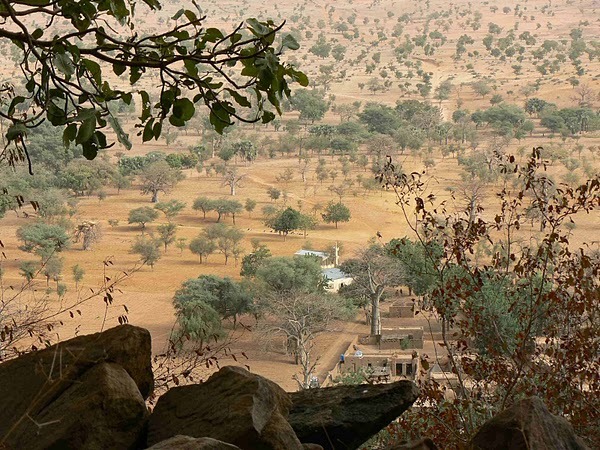 Tombouctou “The Mysterious” is a place of ledgends. 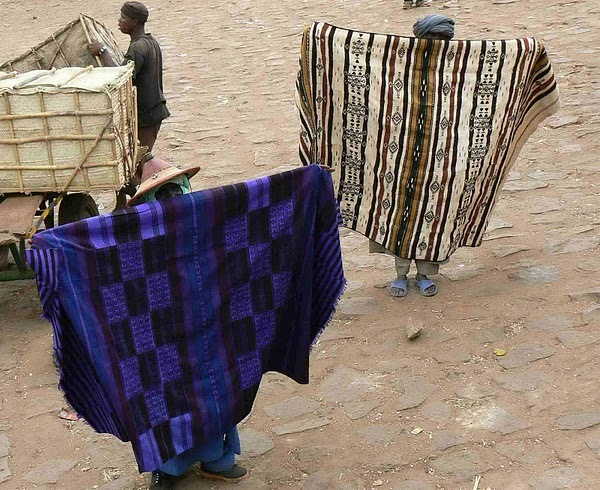 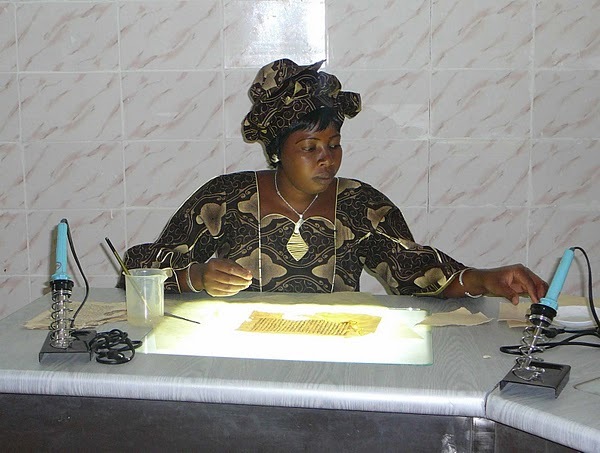 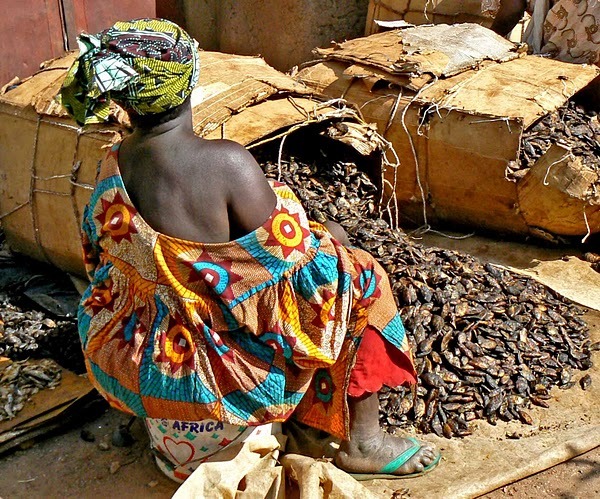 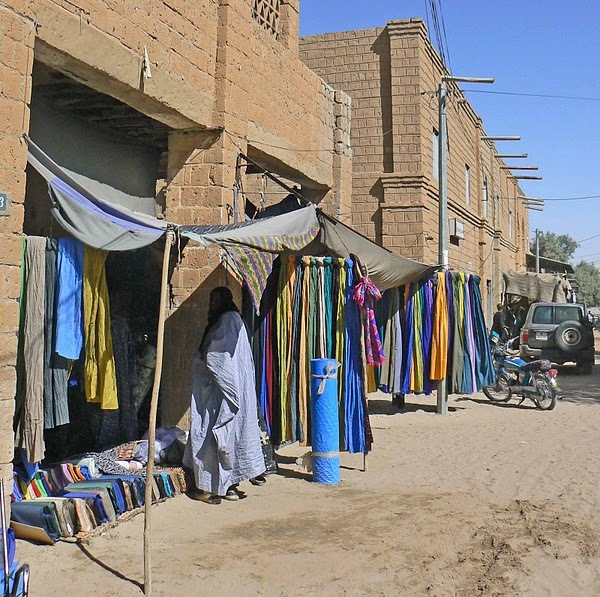 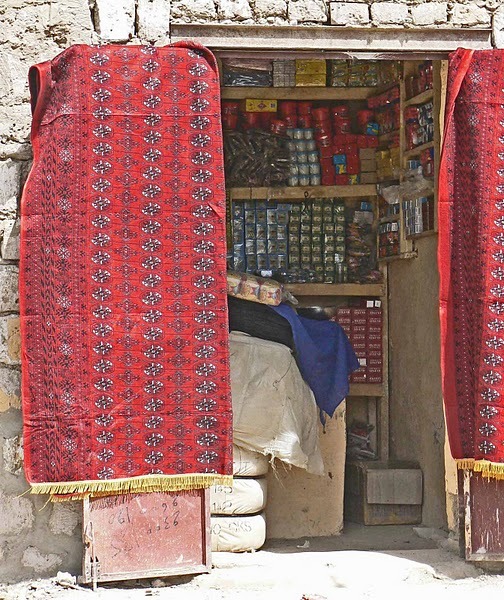 An historical center of trade, Tombouctou of old was also a center of learning. 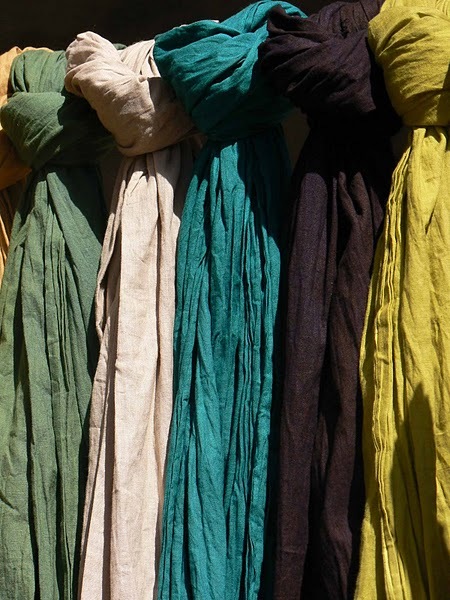 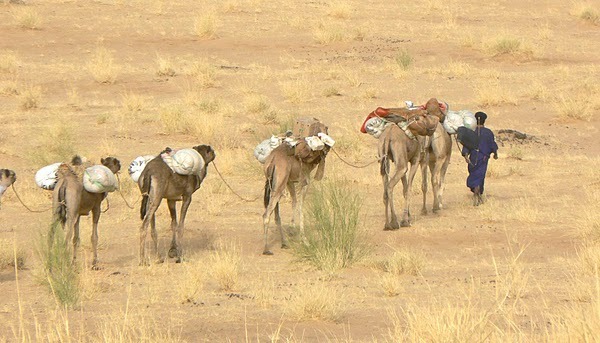 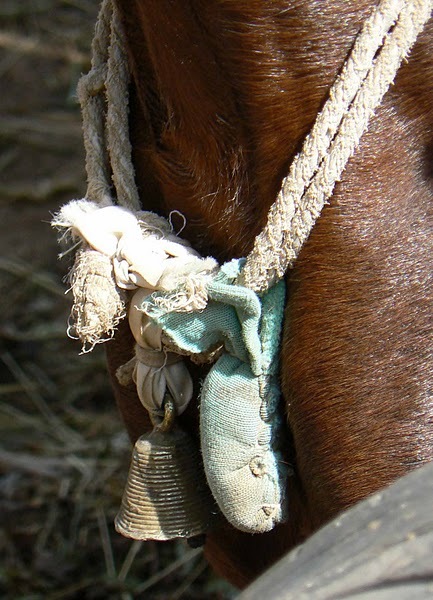 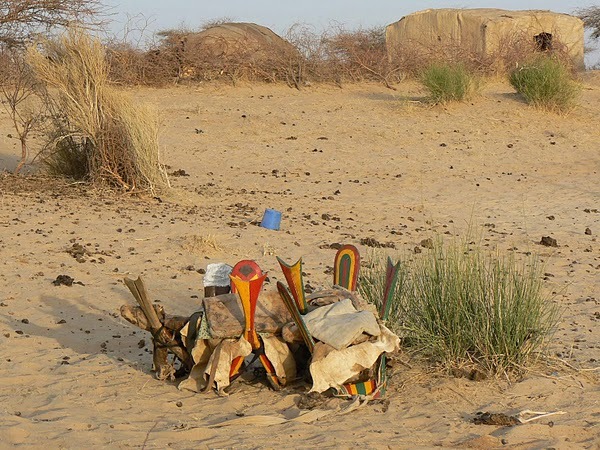 The many scrolls preserved in Tombouctou by the arid climate are currently in the limelight in world news (2008-2010). 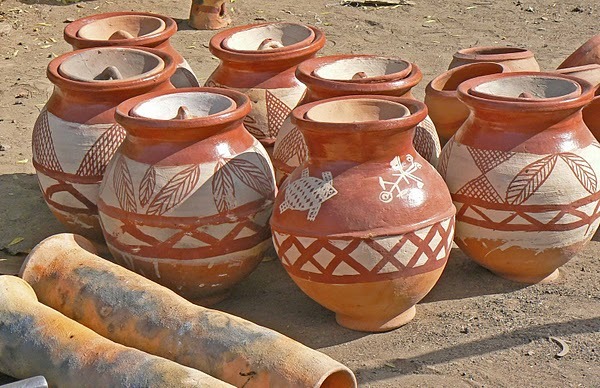 The scrolls, which are in the process of being professionally preserved and cataloged are said to rival the Dead Sea Scrolls in wealth of ancient knowledge and importance. 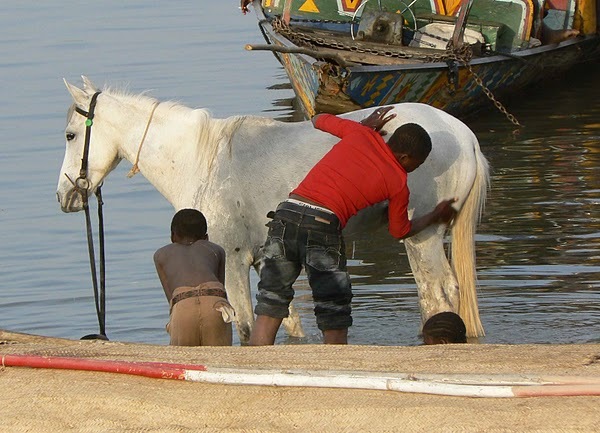 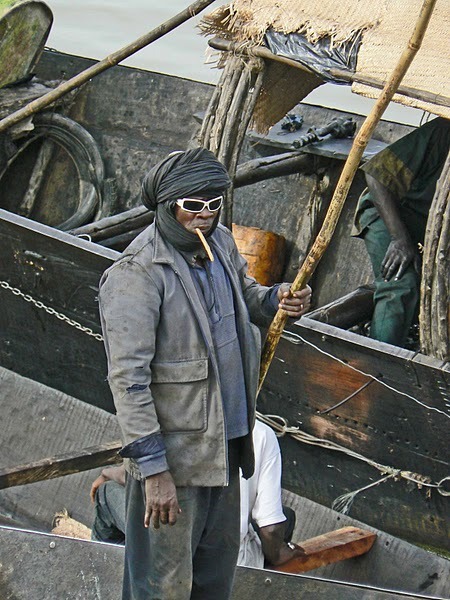 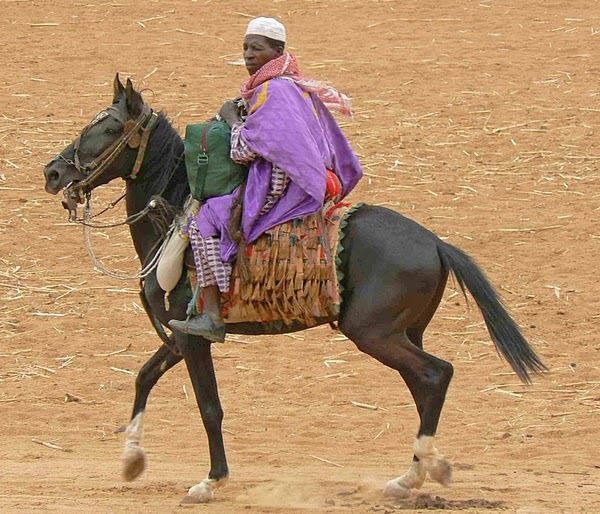 Oumar in-Dahoye el Arawanie is a horseman of note. 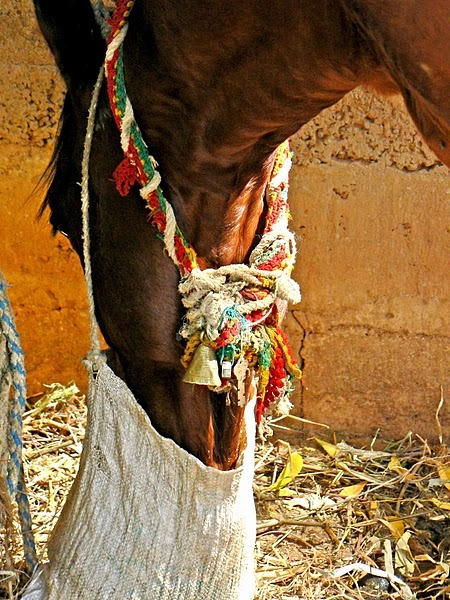 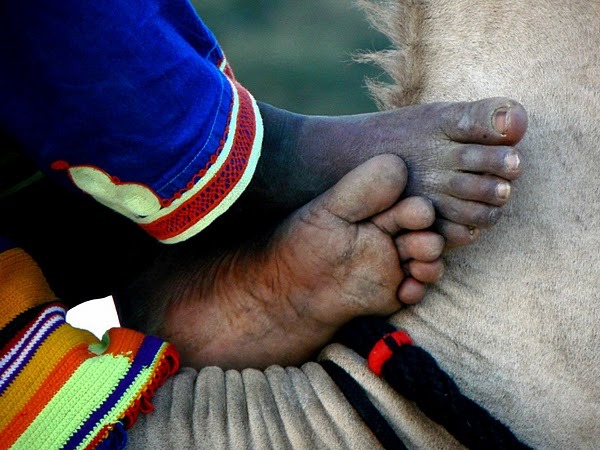 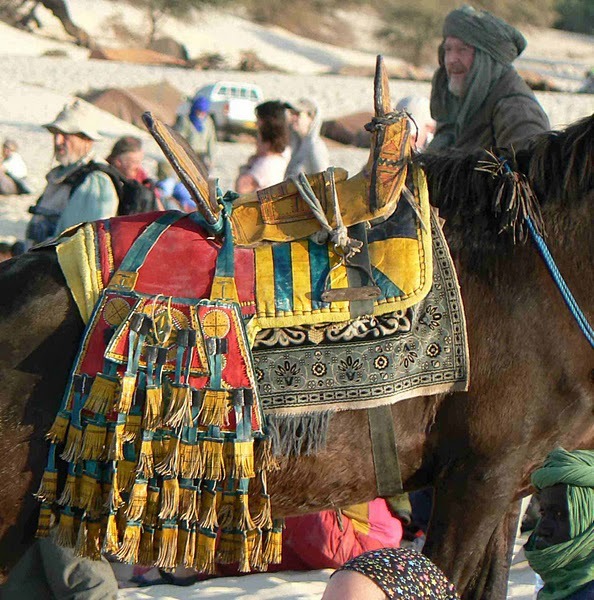 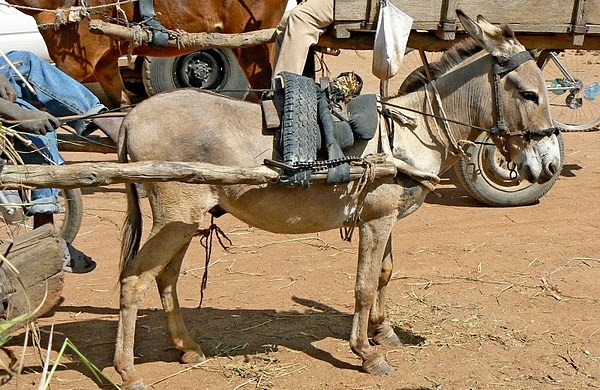 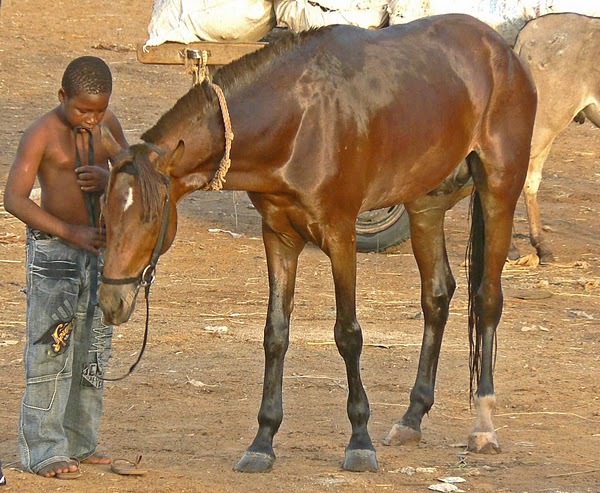 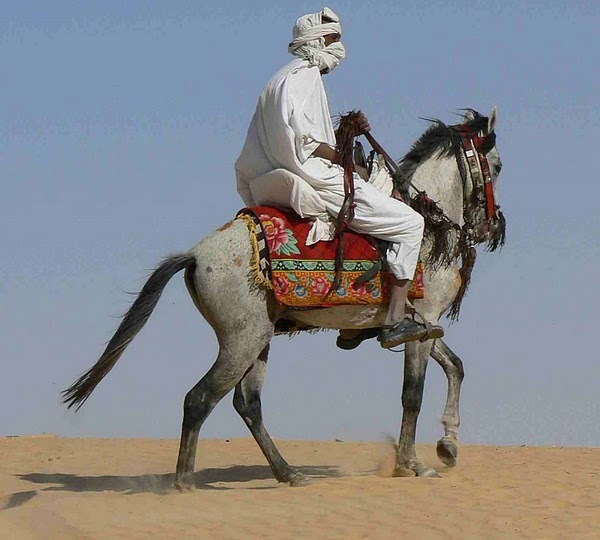 Born to Tuareg nobility, horses are his passion. 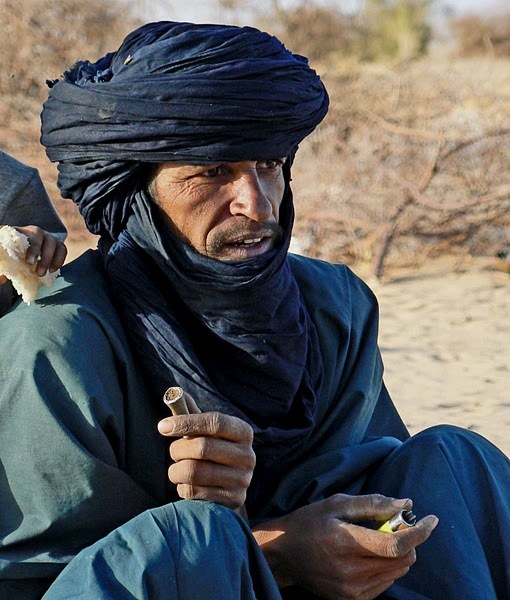 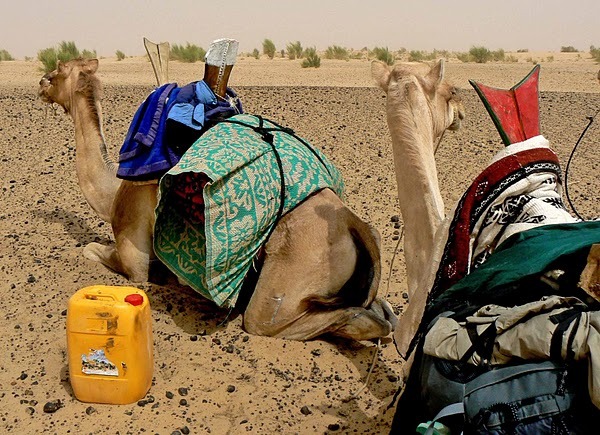 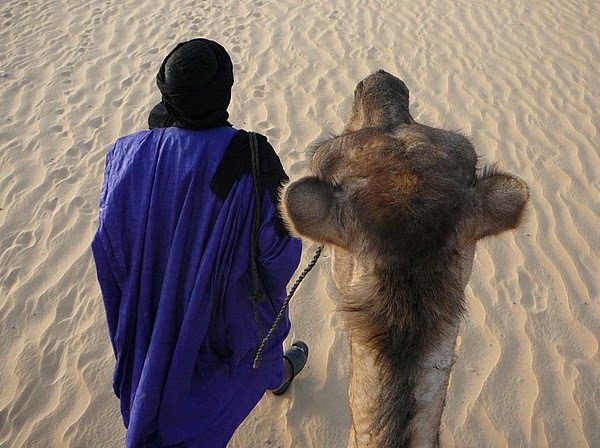 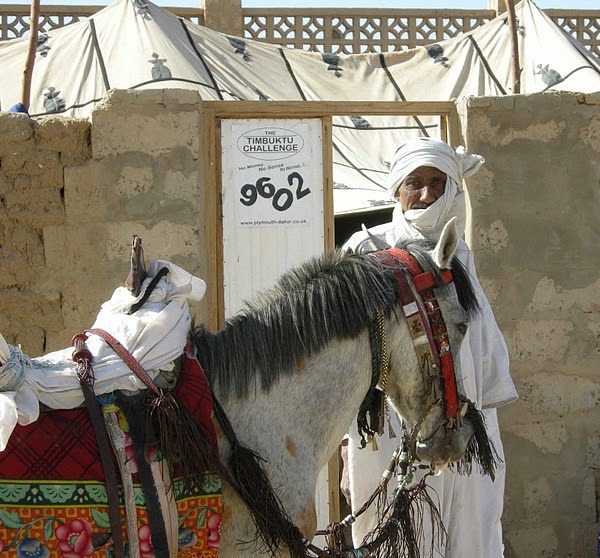 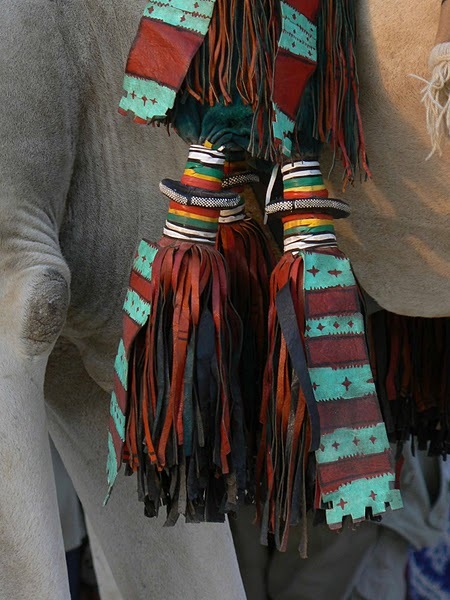 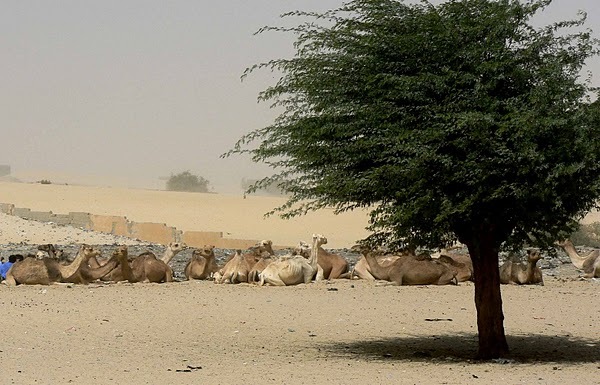 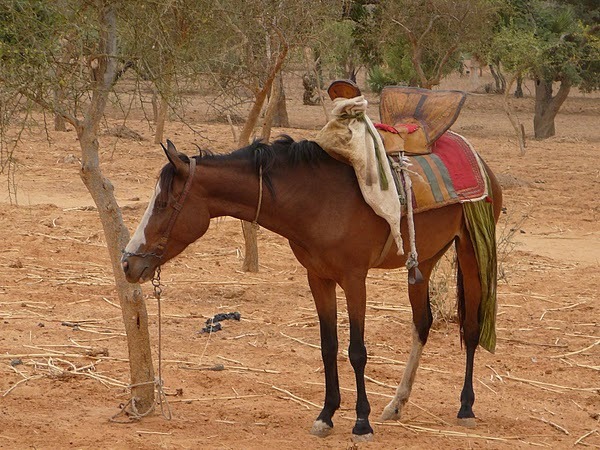 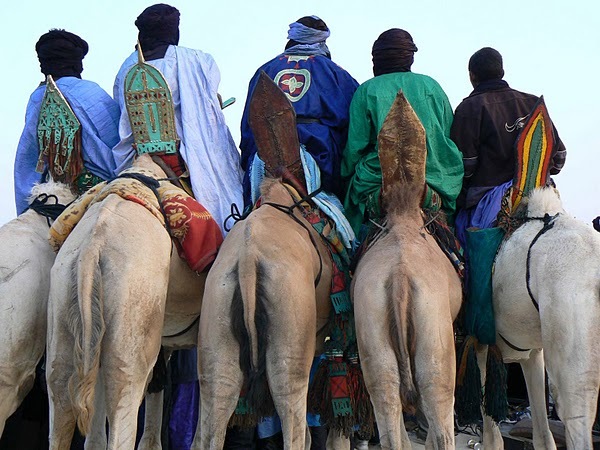 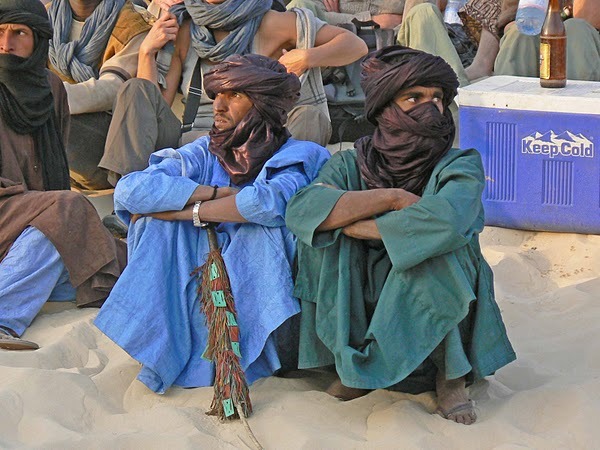 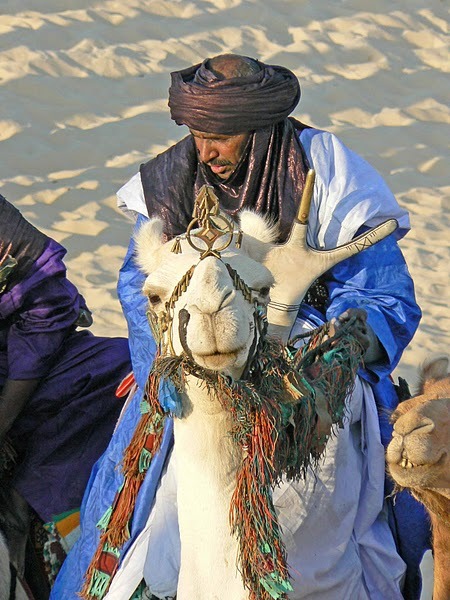 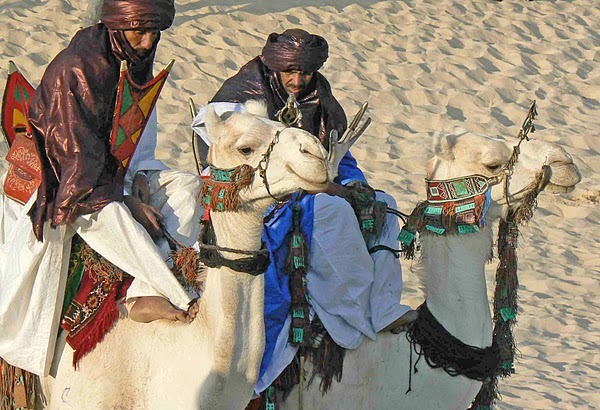 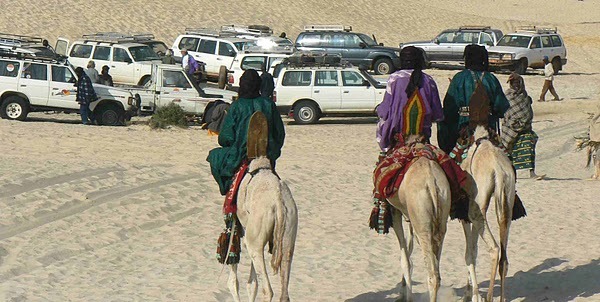 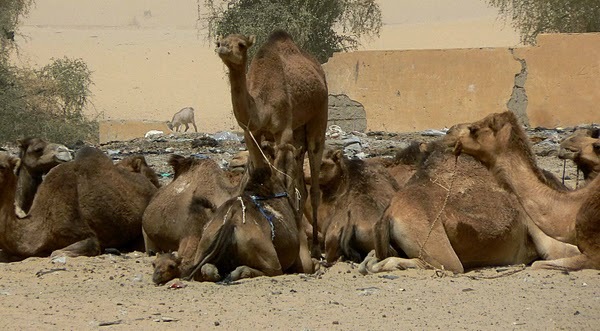 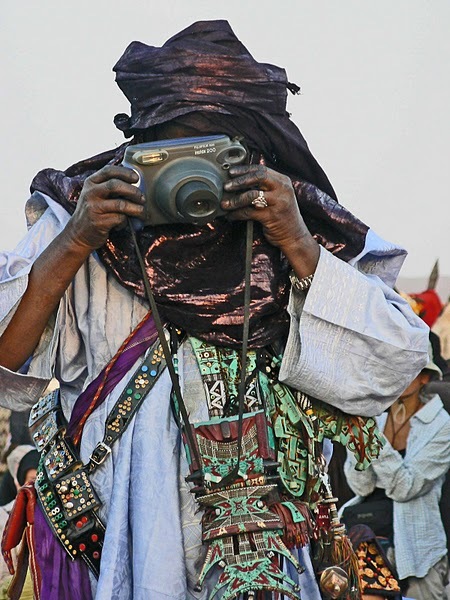 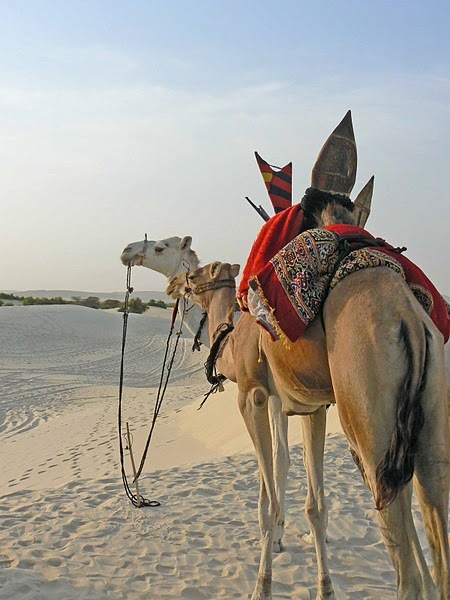 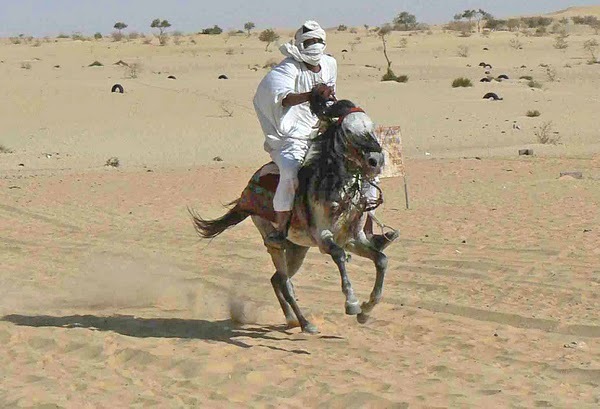 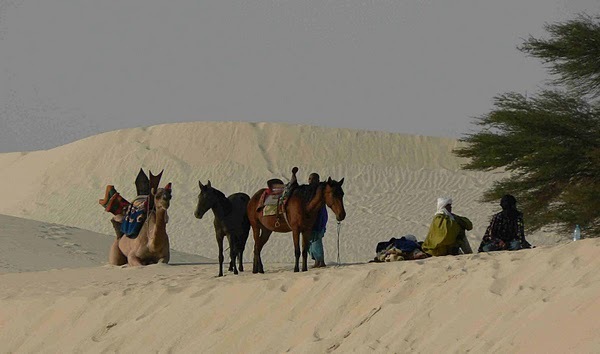 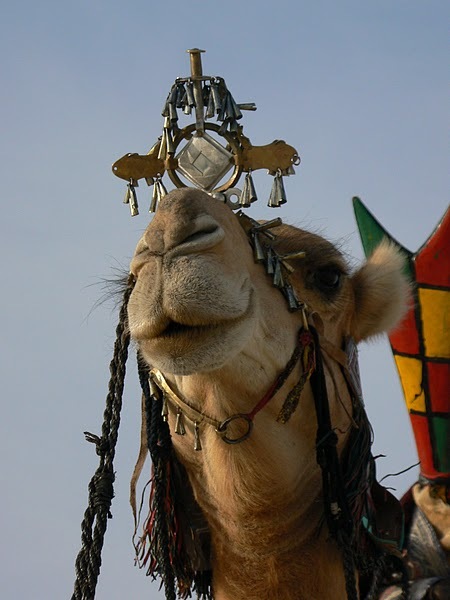 It is unusual to find a horseman with Oumars talents among the Tuareg in the Tombouctou region, as the camel is the usual Tuareg preference. 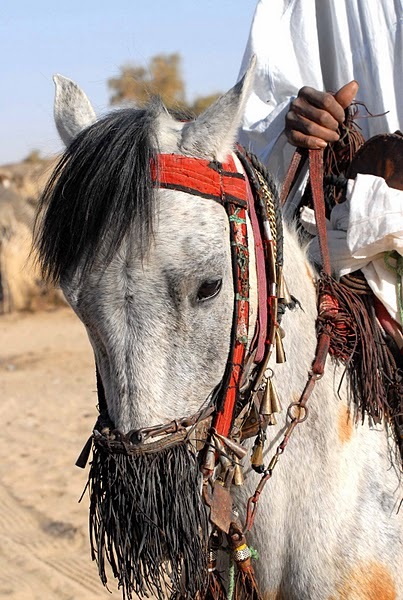 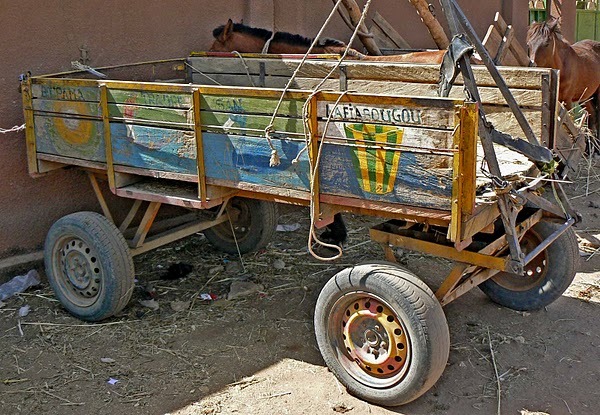 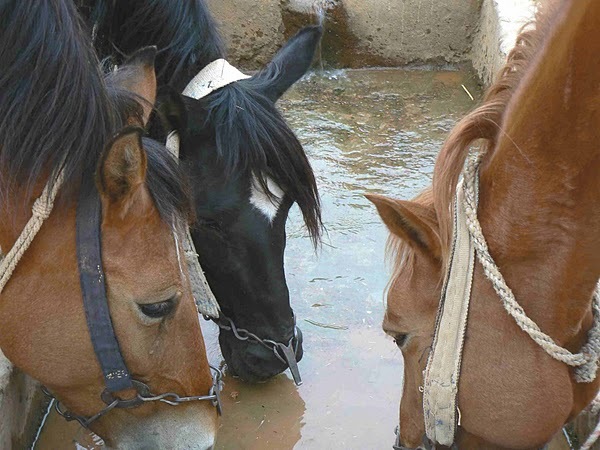 Ourmar has a passion for horses shared by serious horsemen world wide. 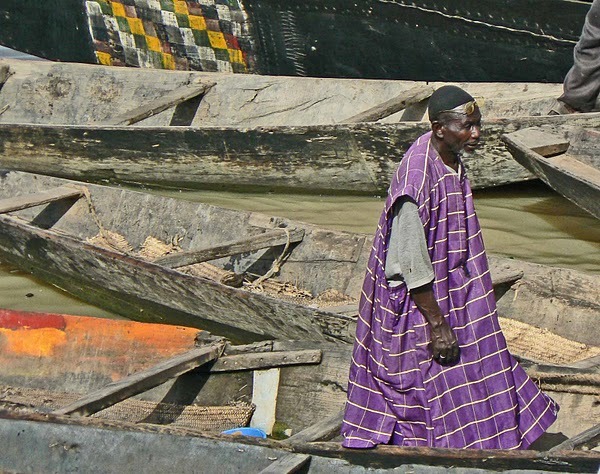 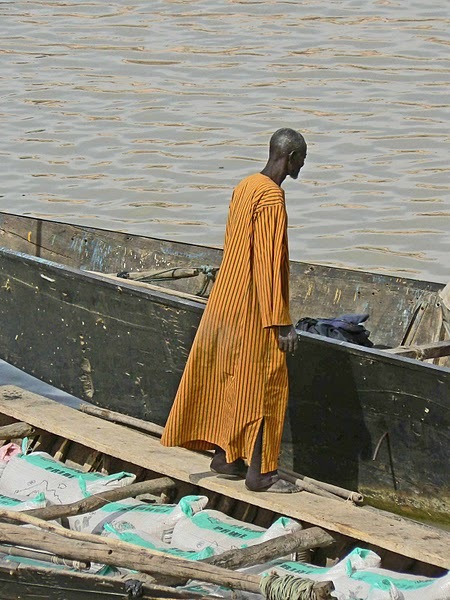 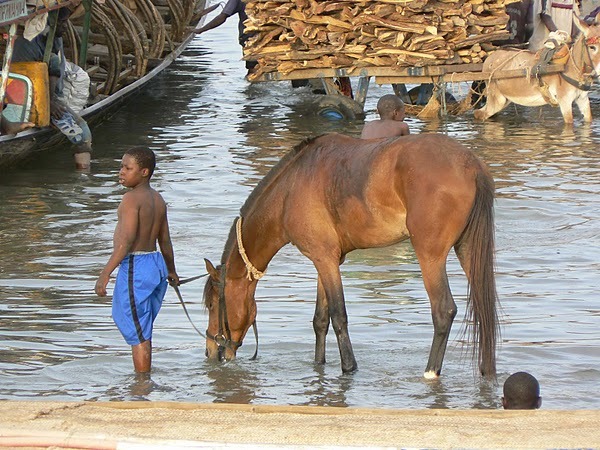 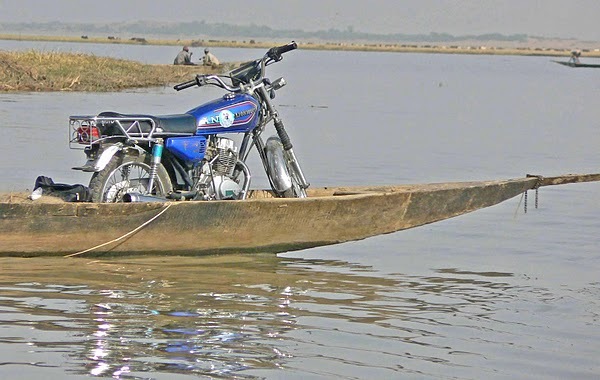 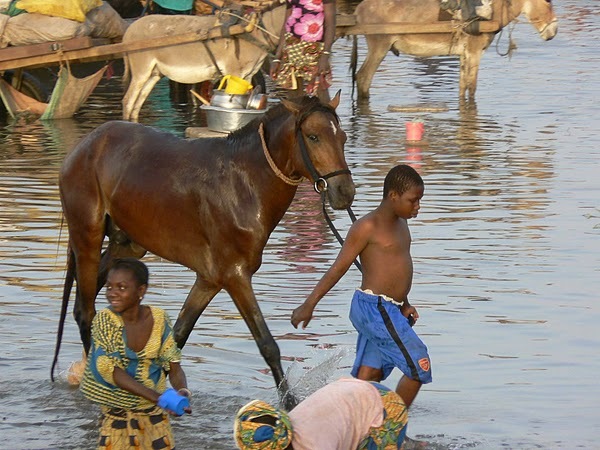 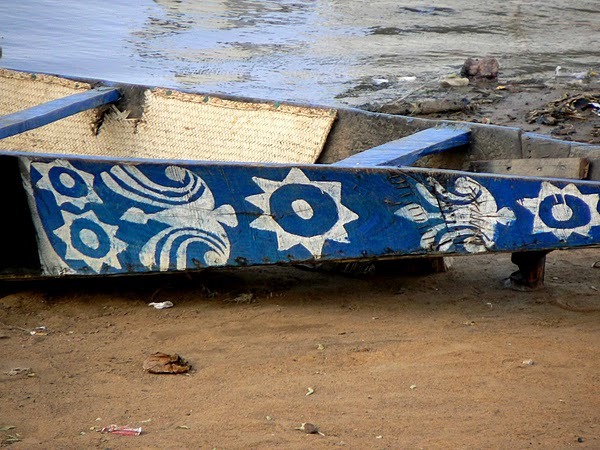 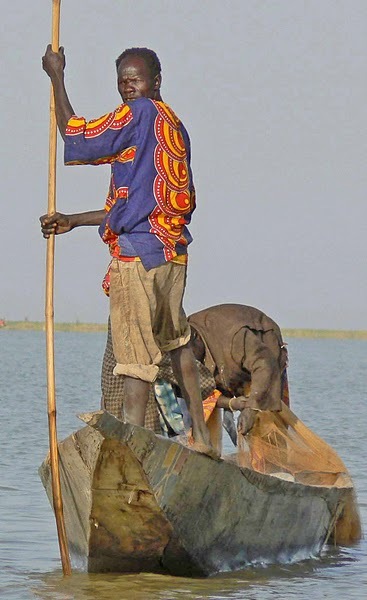 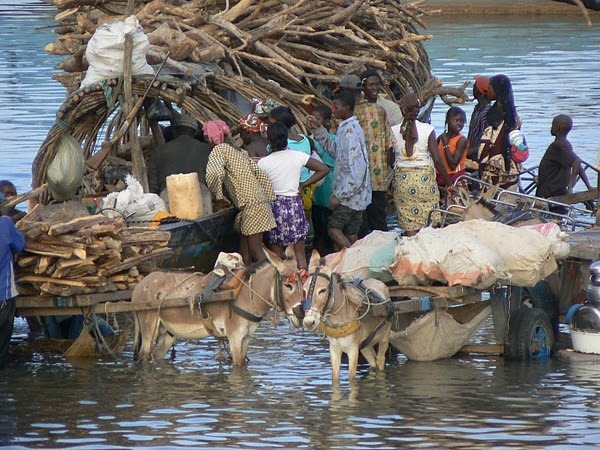 The Niger River flows through the heart of Mali. 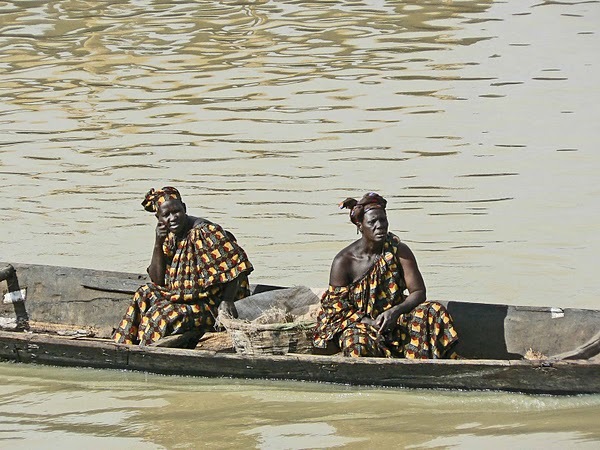 It’s waters provide an invaluable life source to much of the local population. 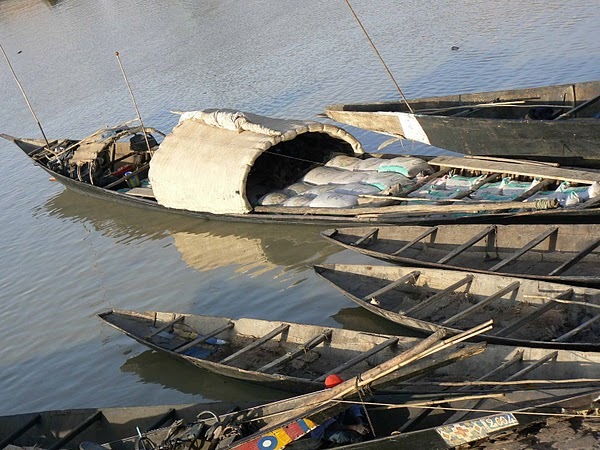 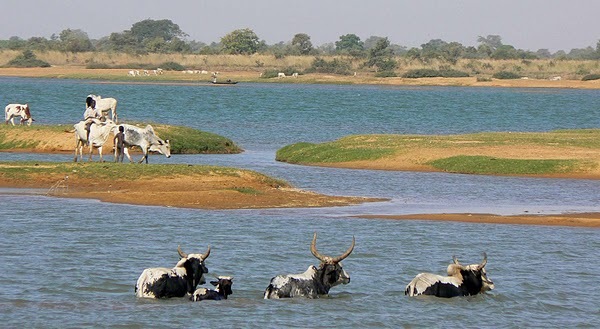 Farming, fishing and commerce rely heavily on this mighty waterway. 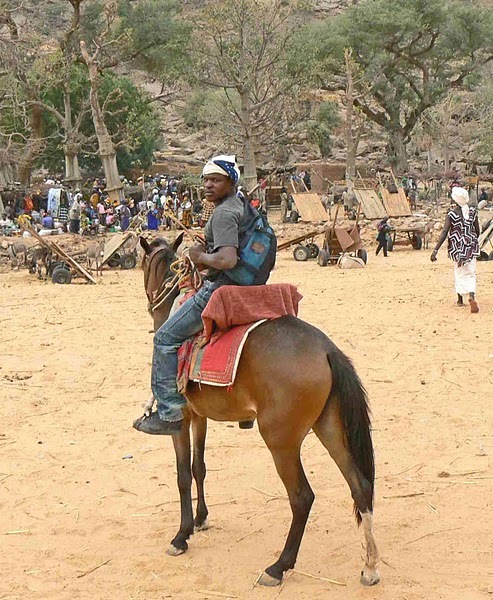 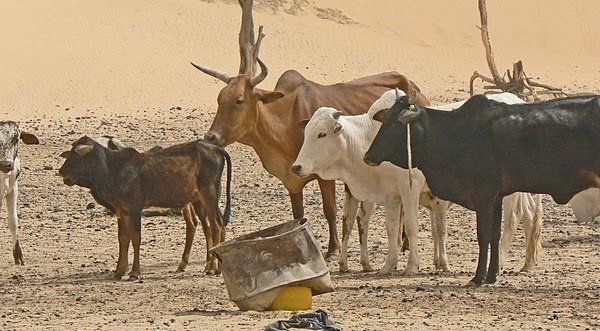 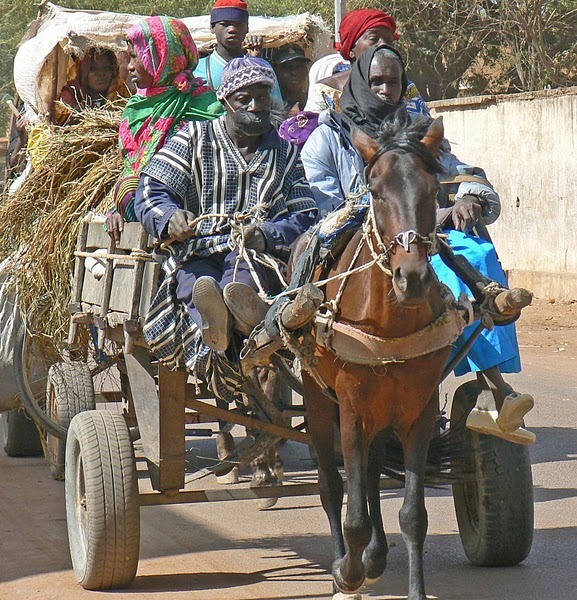 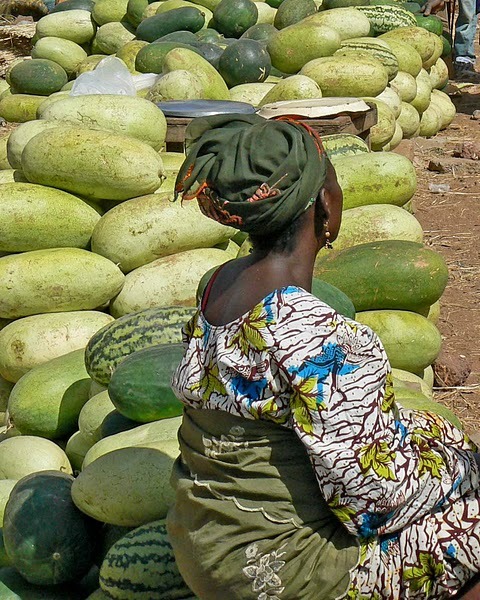 Much of the road from Bamako to Pays Dogon and Tombouctou follows close to the path of the Niger. 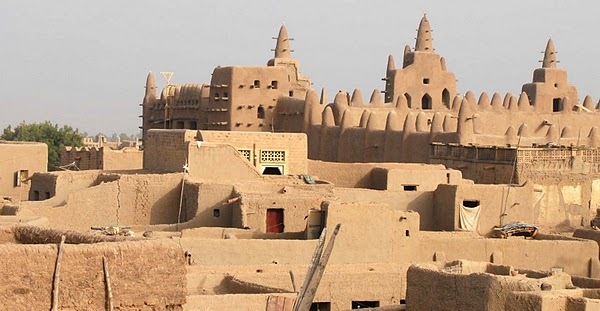 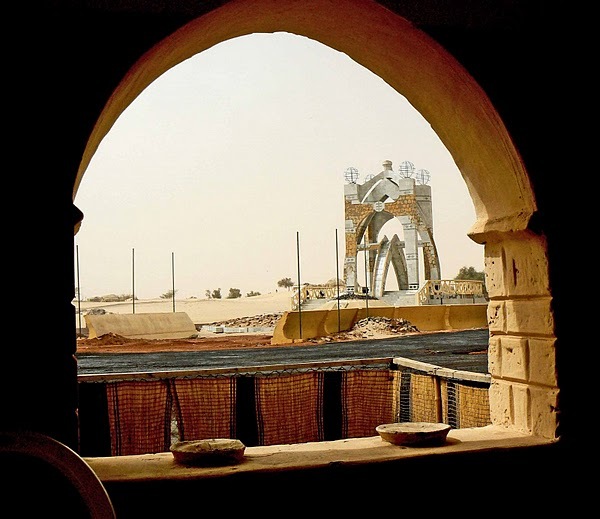 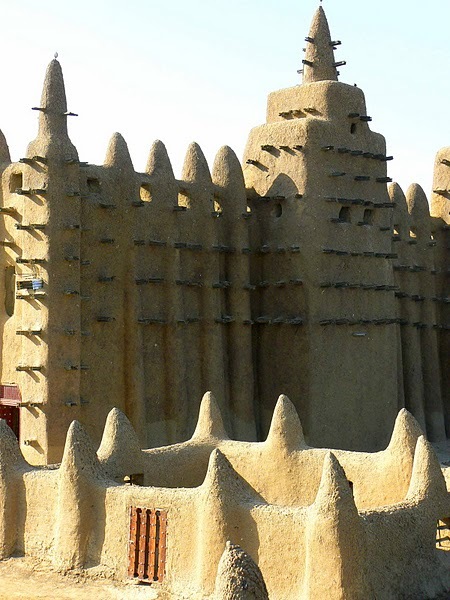 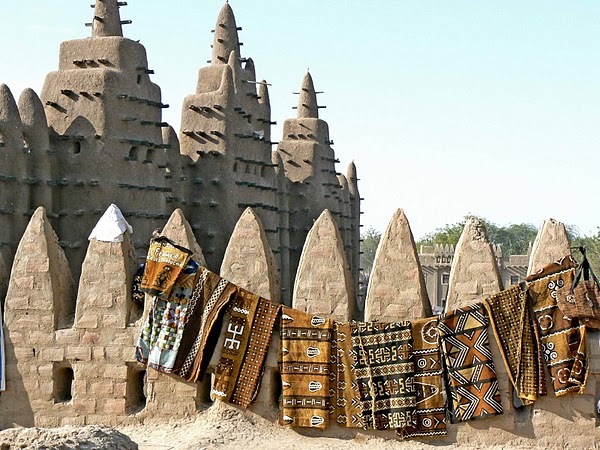 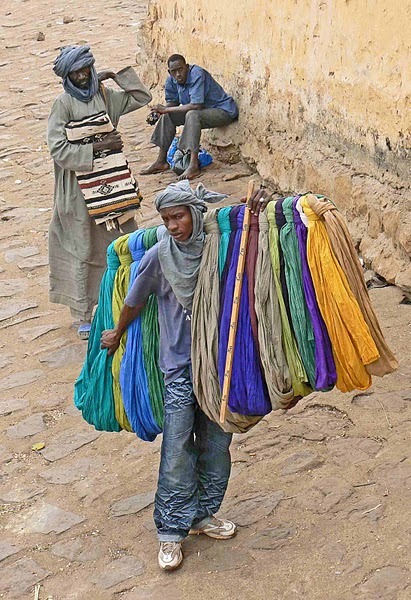 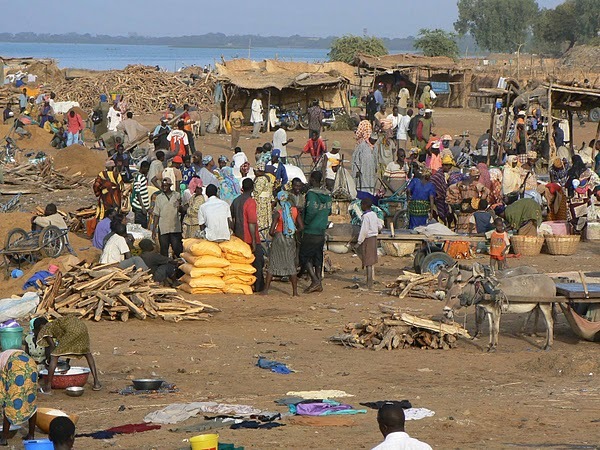 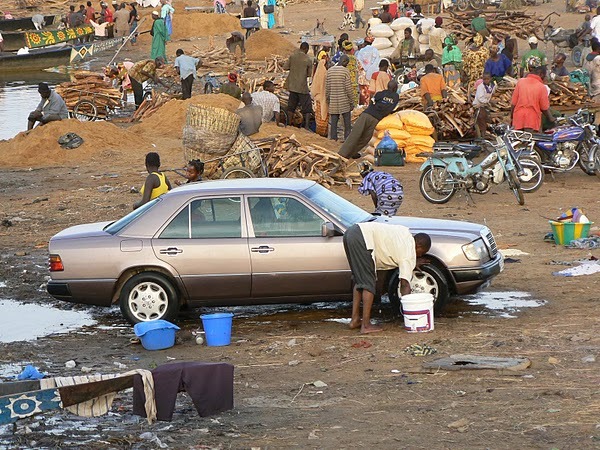 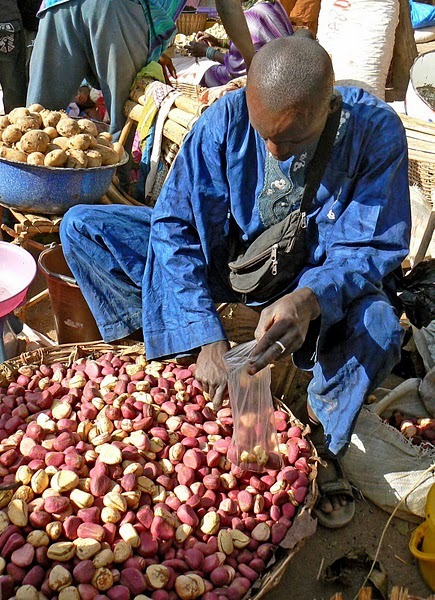 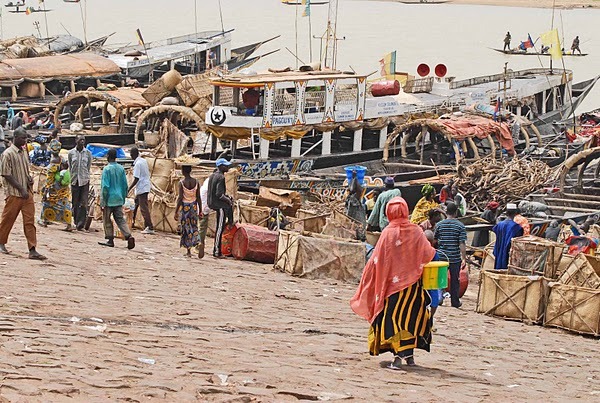 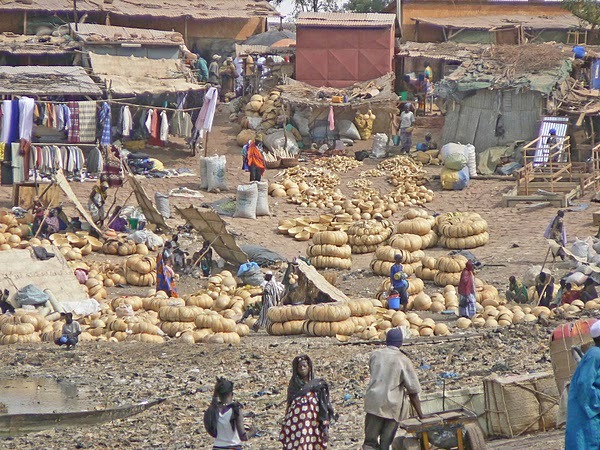 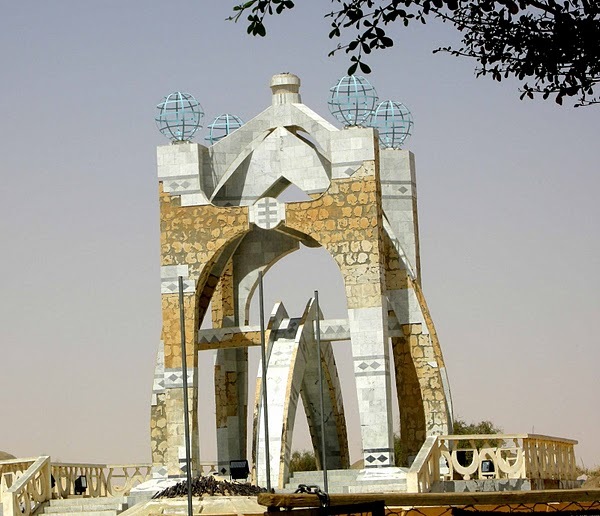 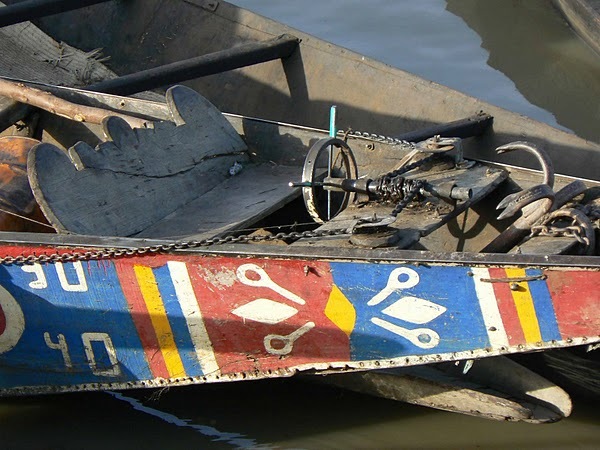 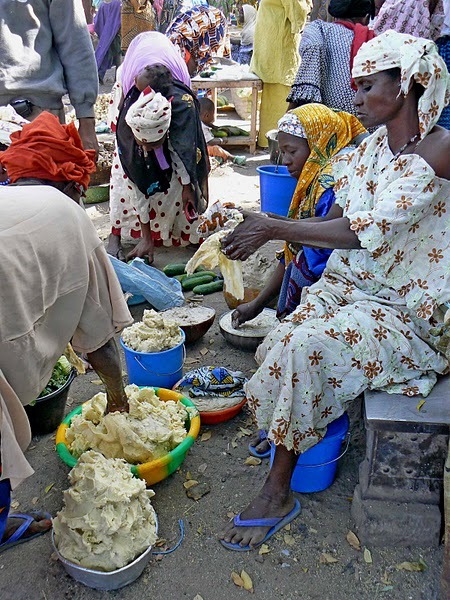 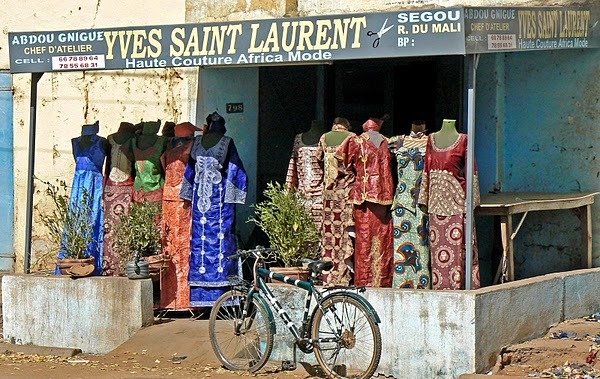 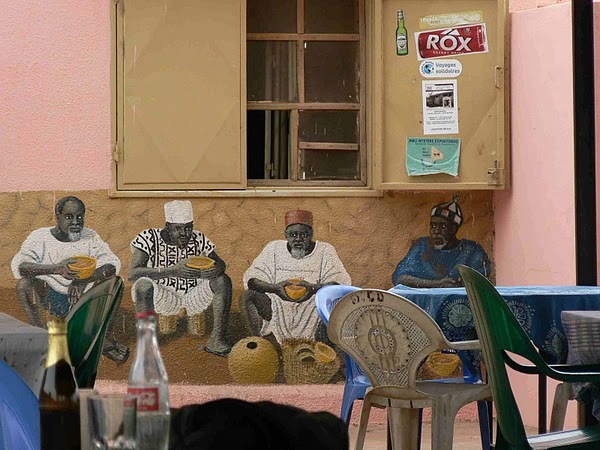 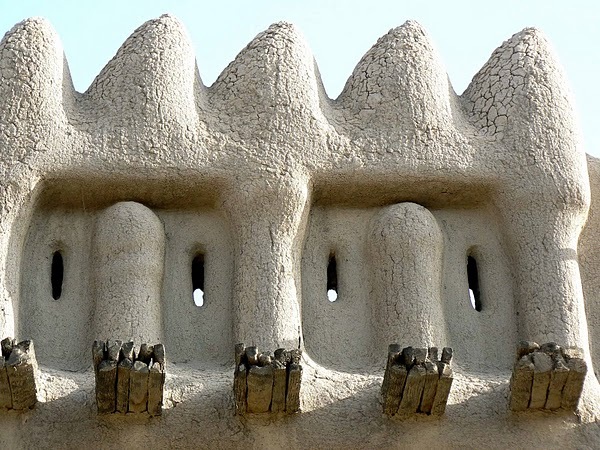 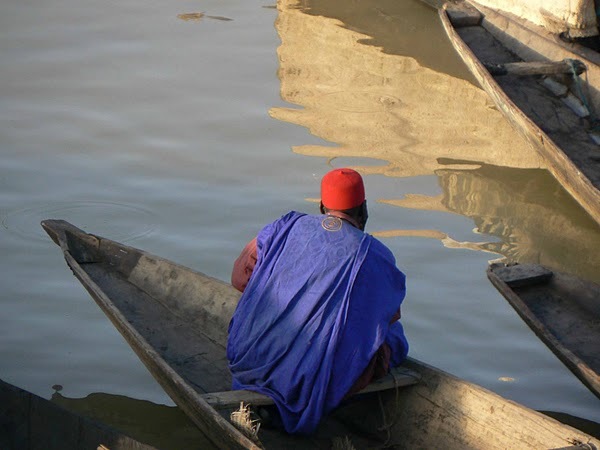 The fabled Mud City of Djenne, a World Heritage site, Segou and Segoukoro (old Segou) and the bustling river port city of Mopti are destinations well worth visiting that lay on the banks of the Niger. 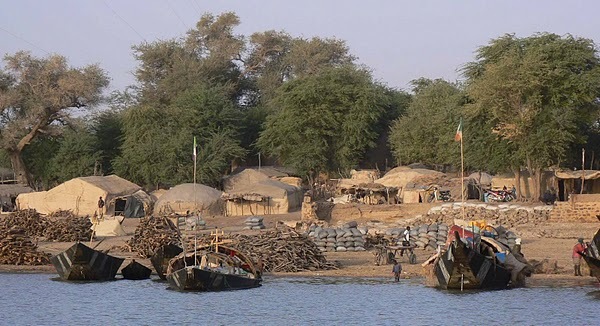 Even Tombouctou is only a few kilometers from the river. 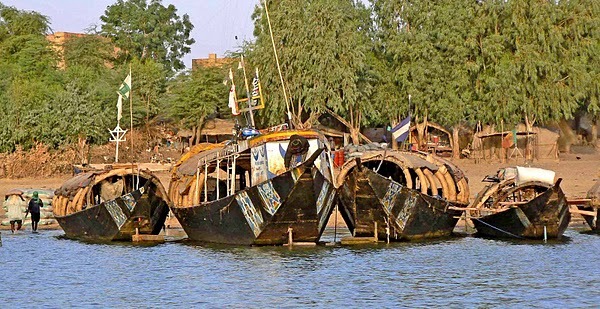 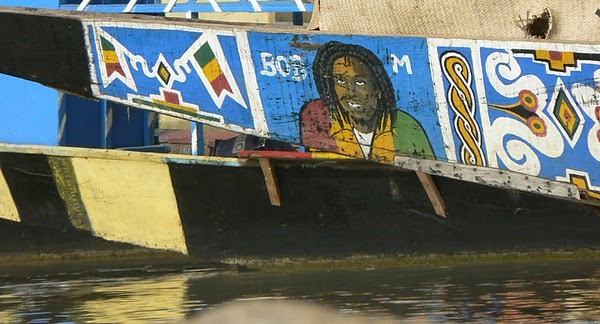 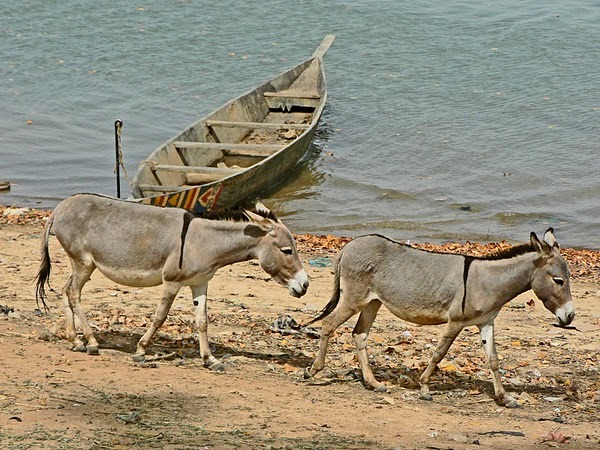 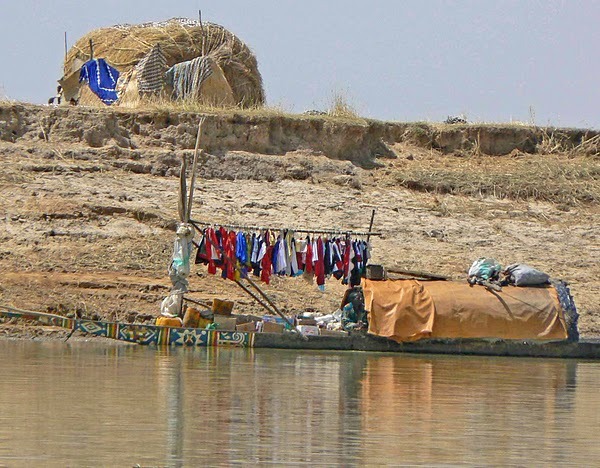 The following photos were taken along the river in Segou, Seoukoro, Djenne and Mopti and from the decks of a local river boat, called a Pinasse, during an amazing river voyage from Tombouctou to Mopti. 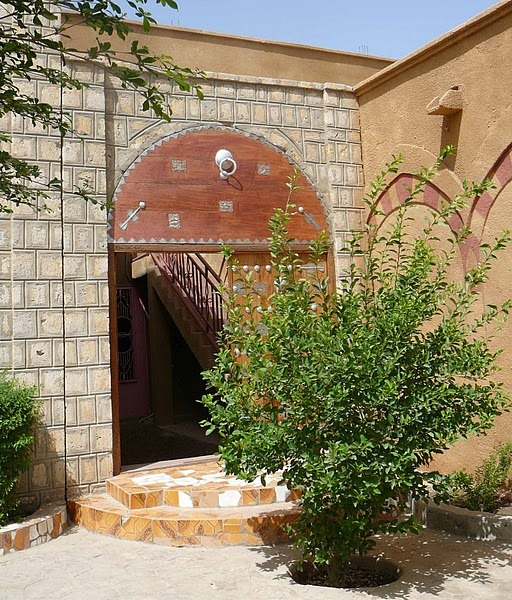 A Place Not to Miss! 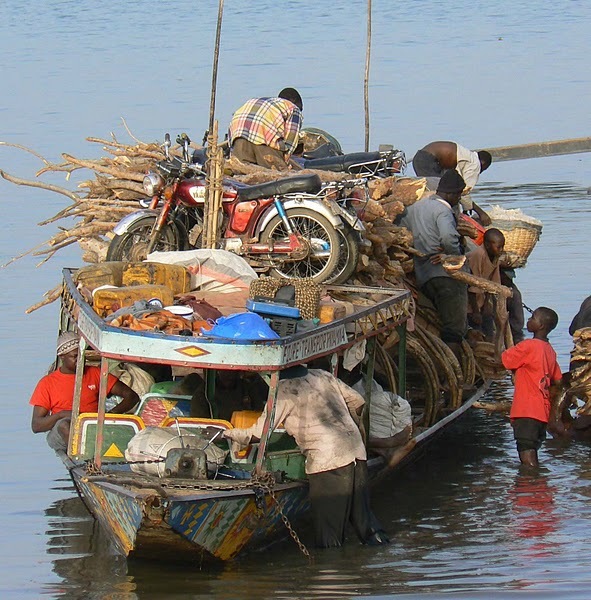 Everyting Imaginable is Transported by Boat!